It is very useful to know this simple pattern. Later you can add it to your other complex pieces. 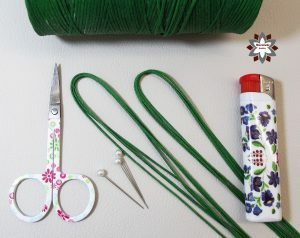 Start with two 100cm cords and let about 15 cms above. Add the rest of the cords as in the pictures, the long (200cm) ones should be added in half. 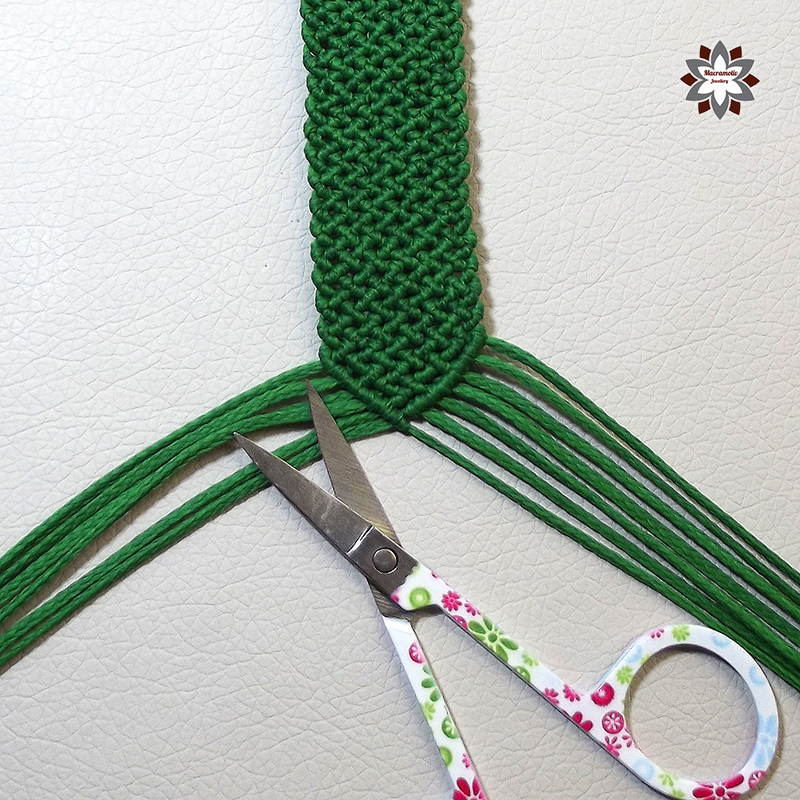 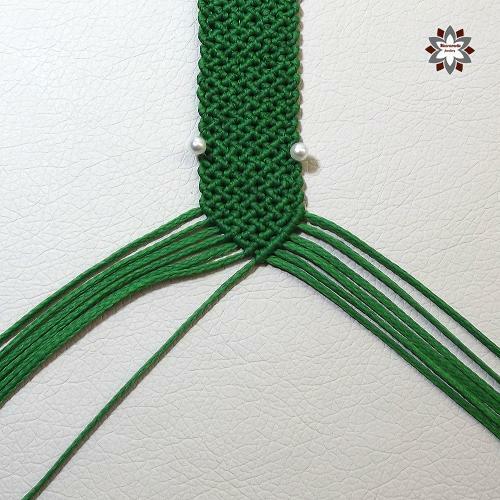 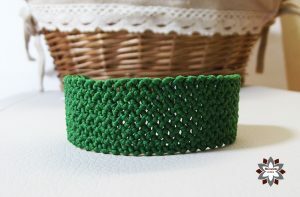 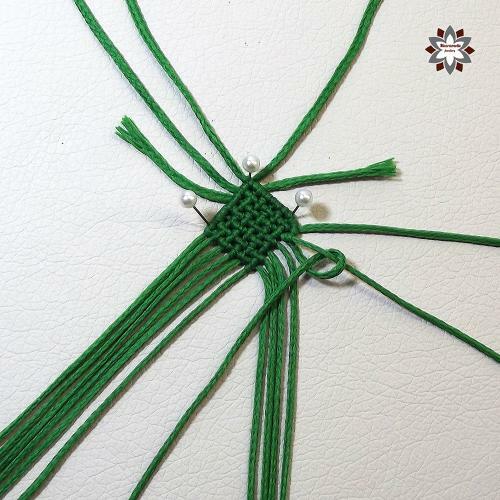 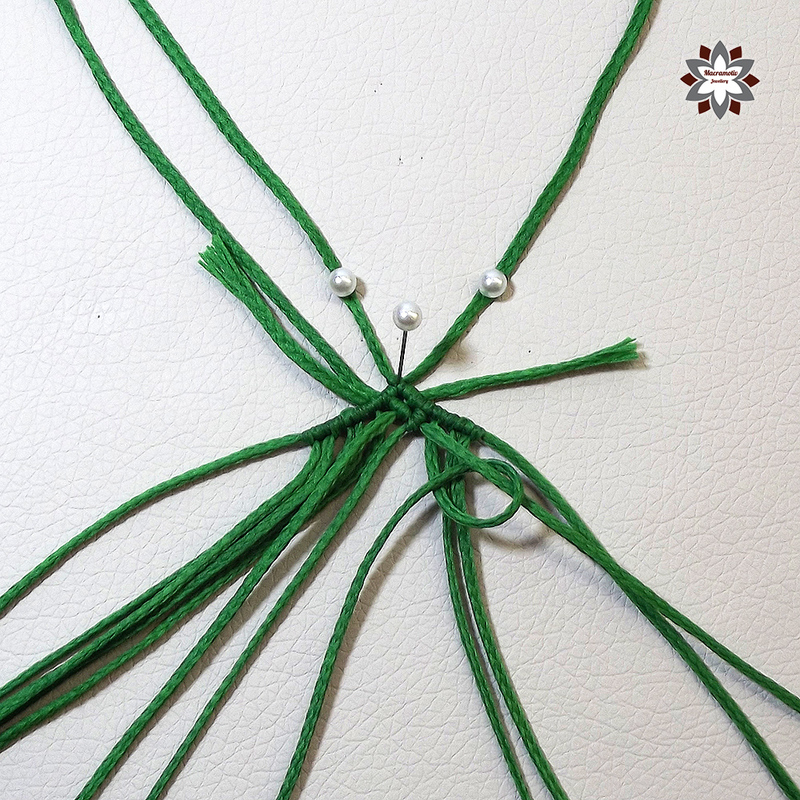 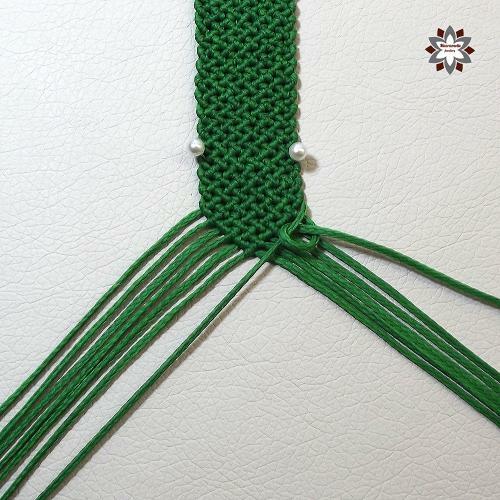 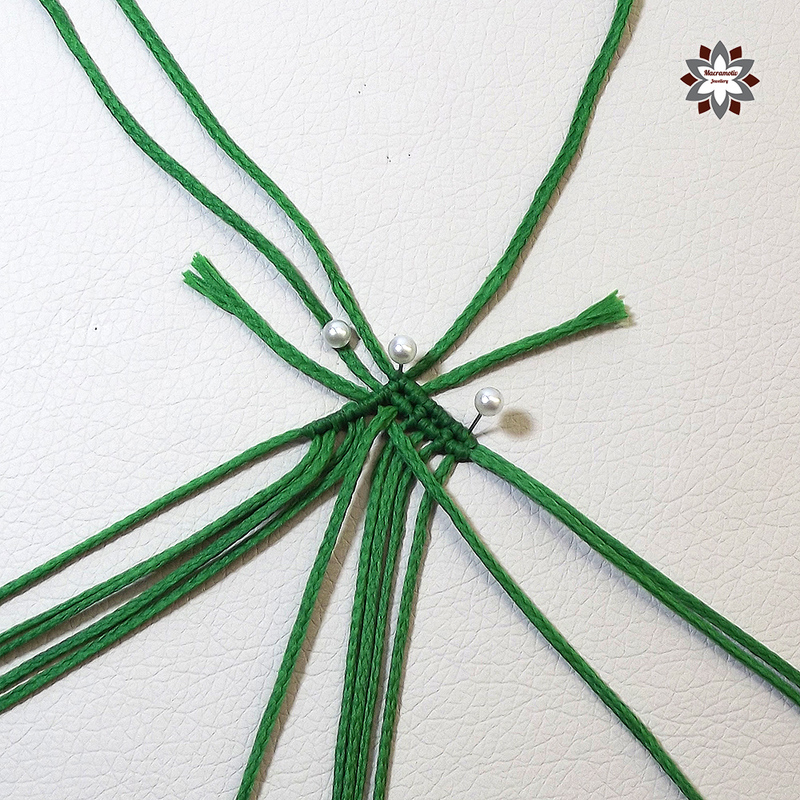 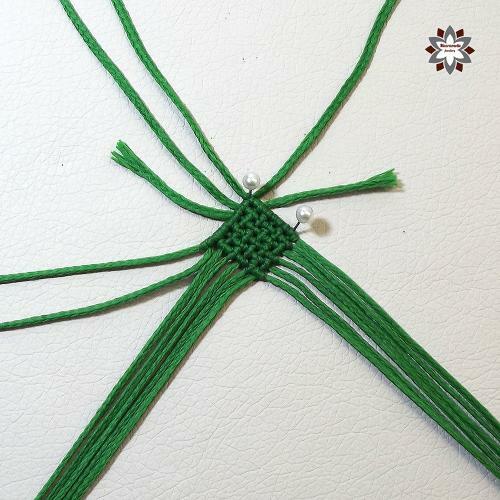 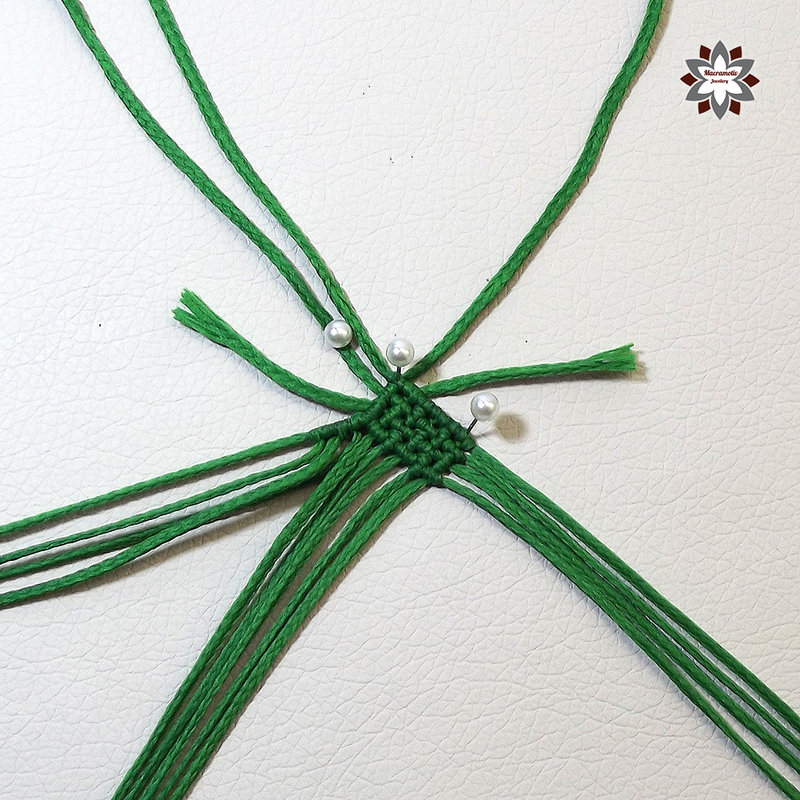 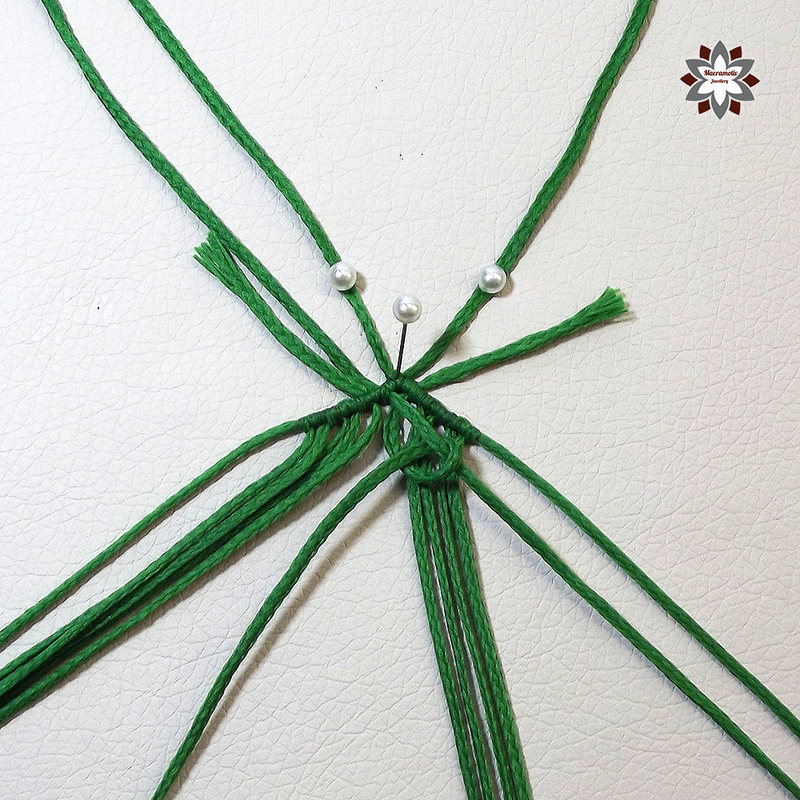 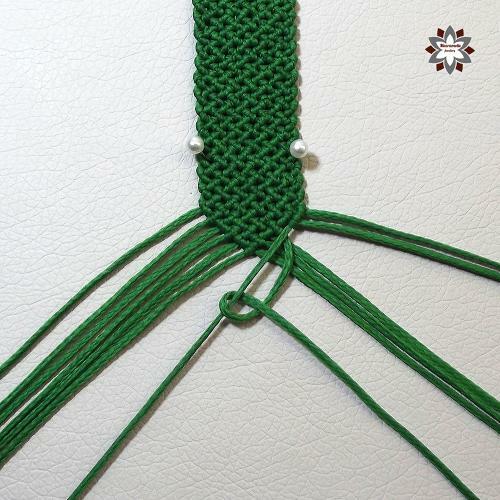 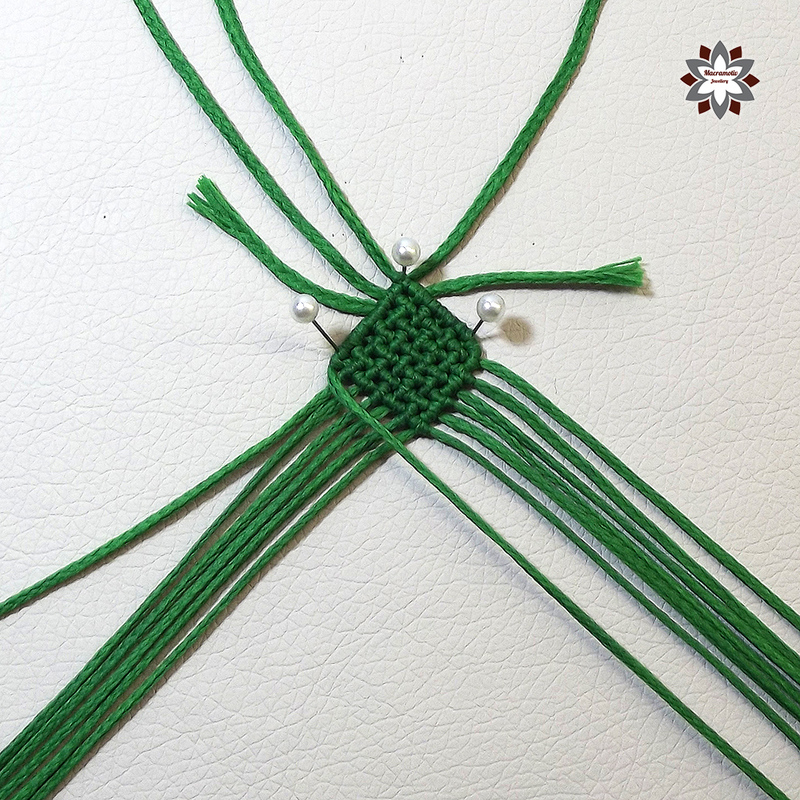 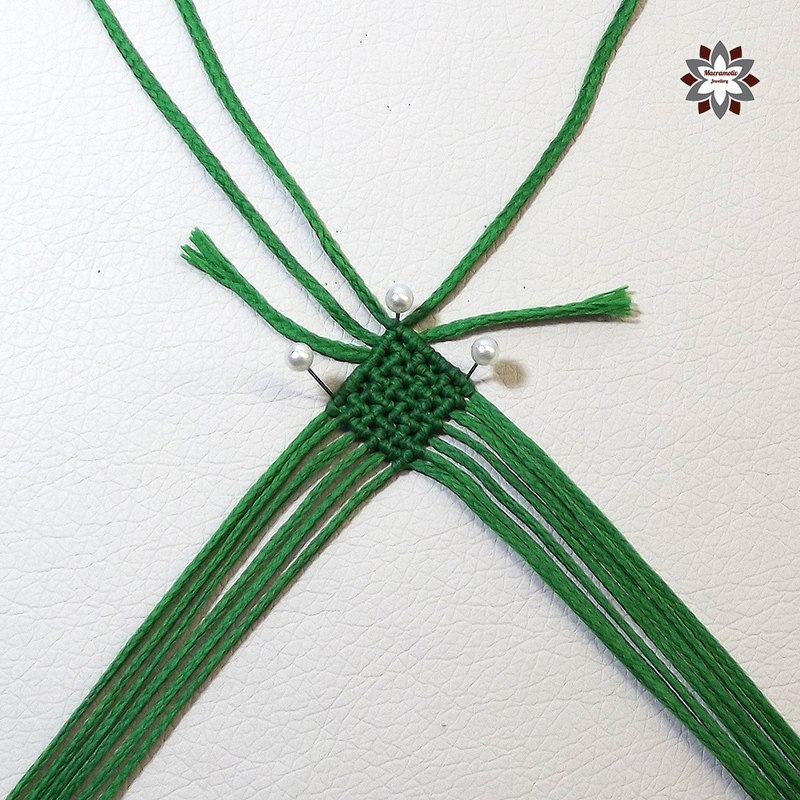 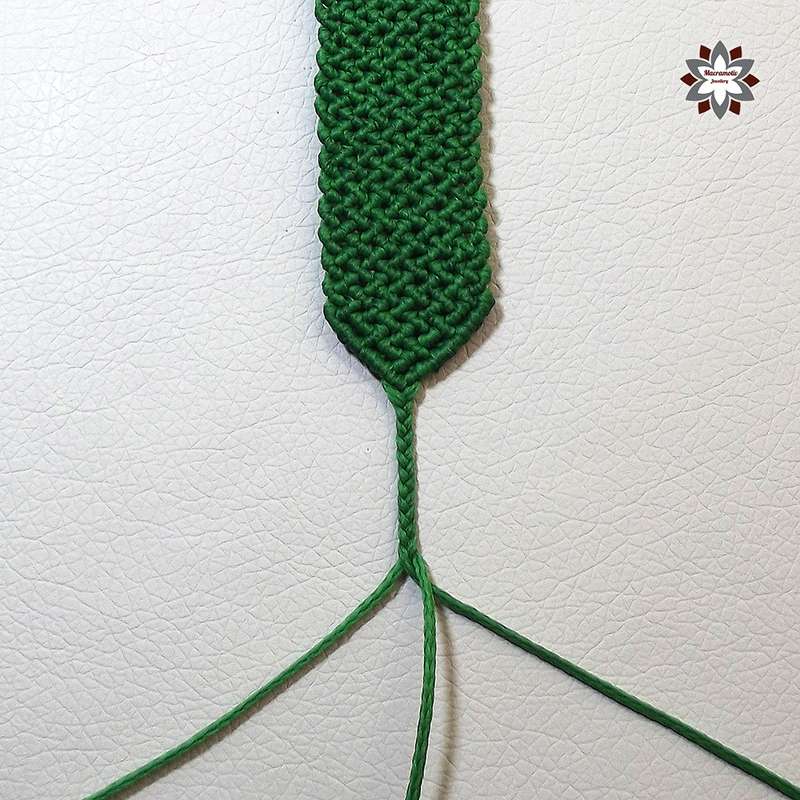 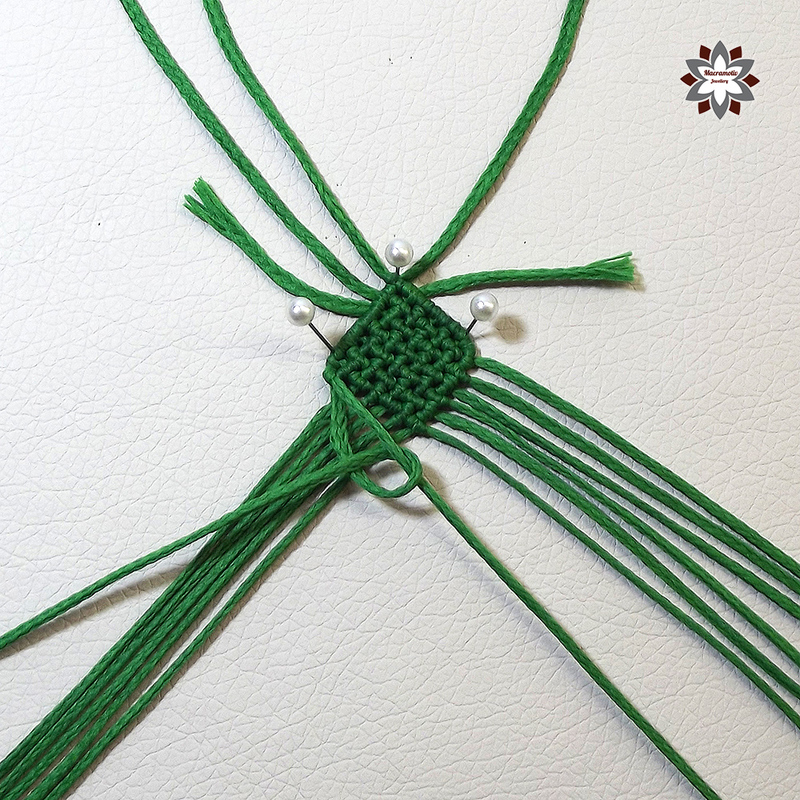 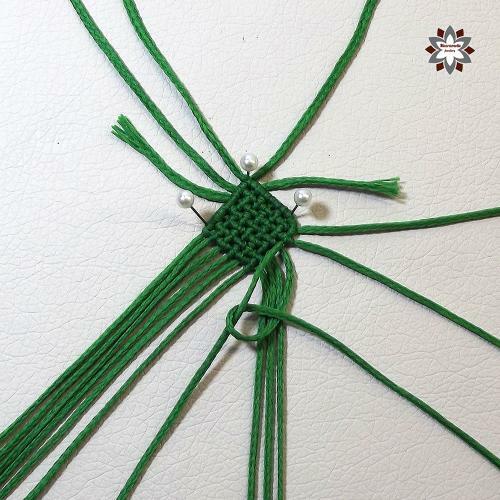 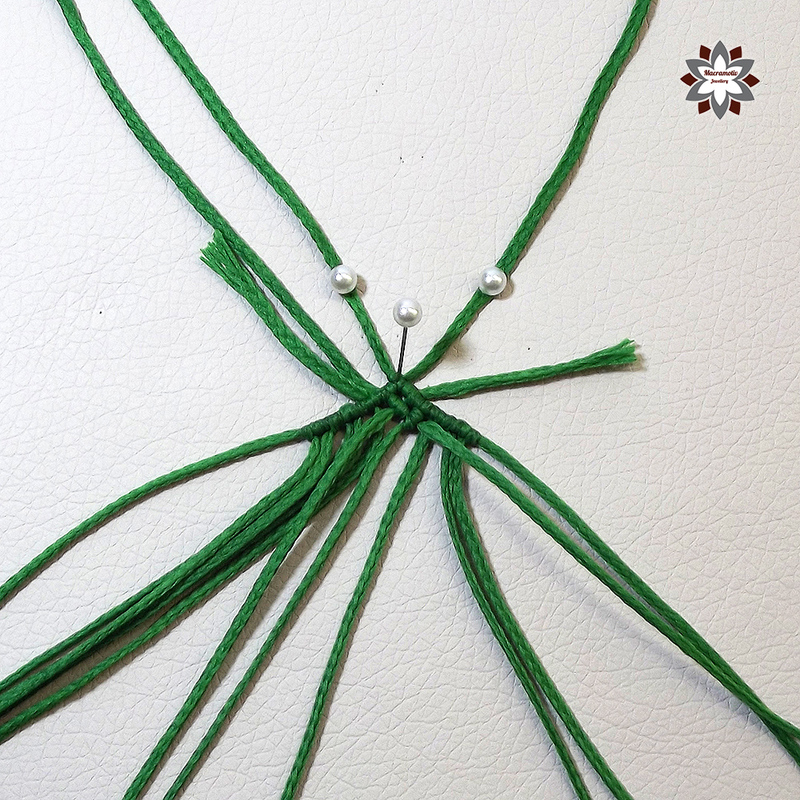 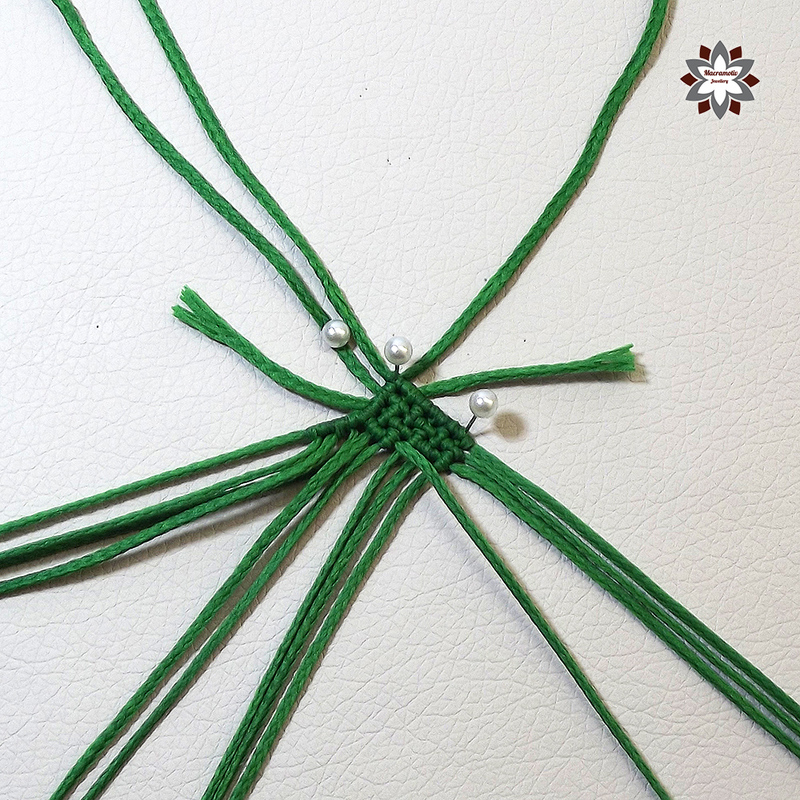 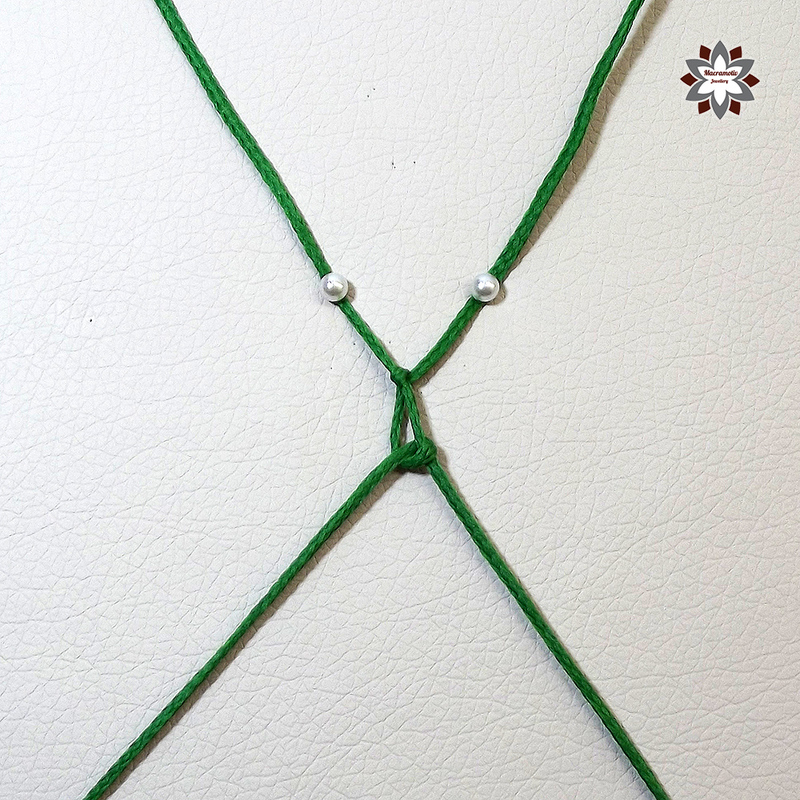 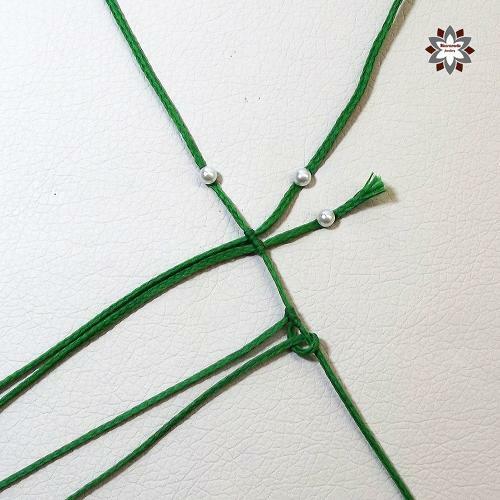 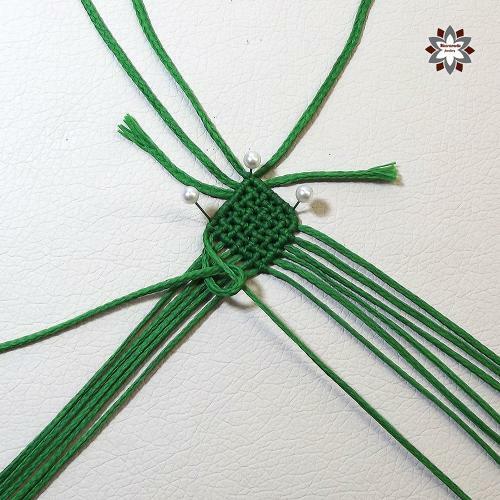 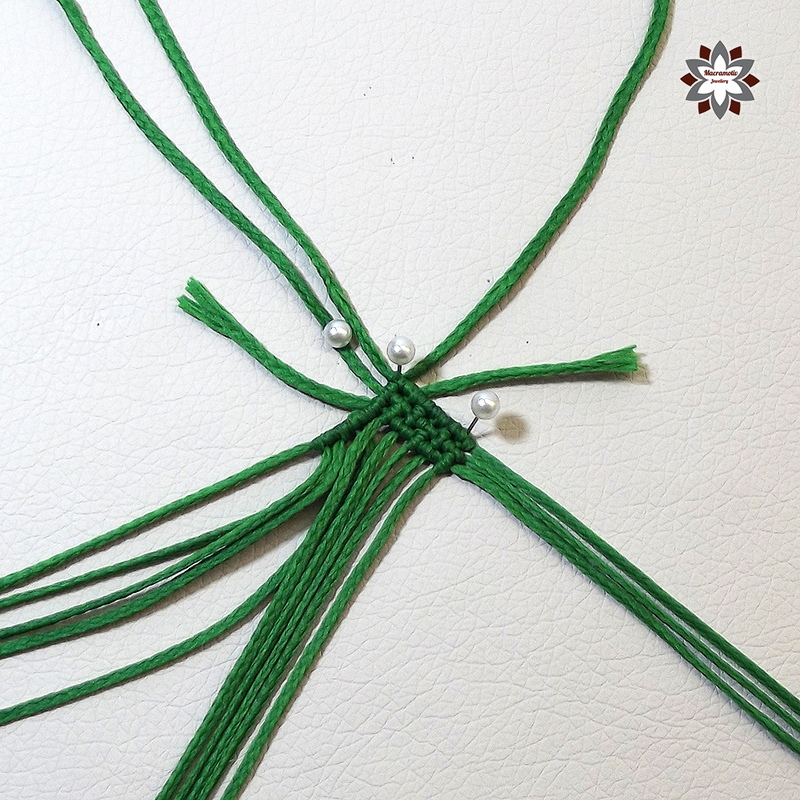 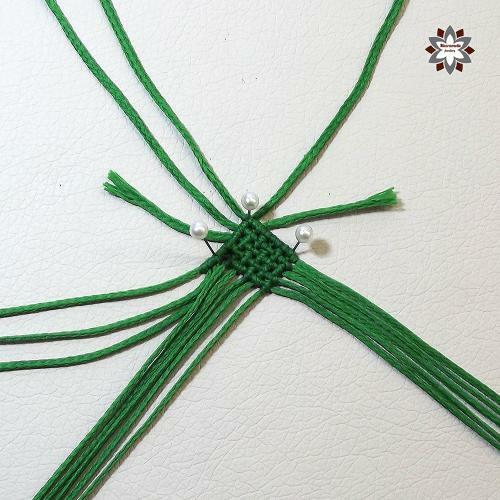 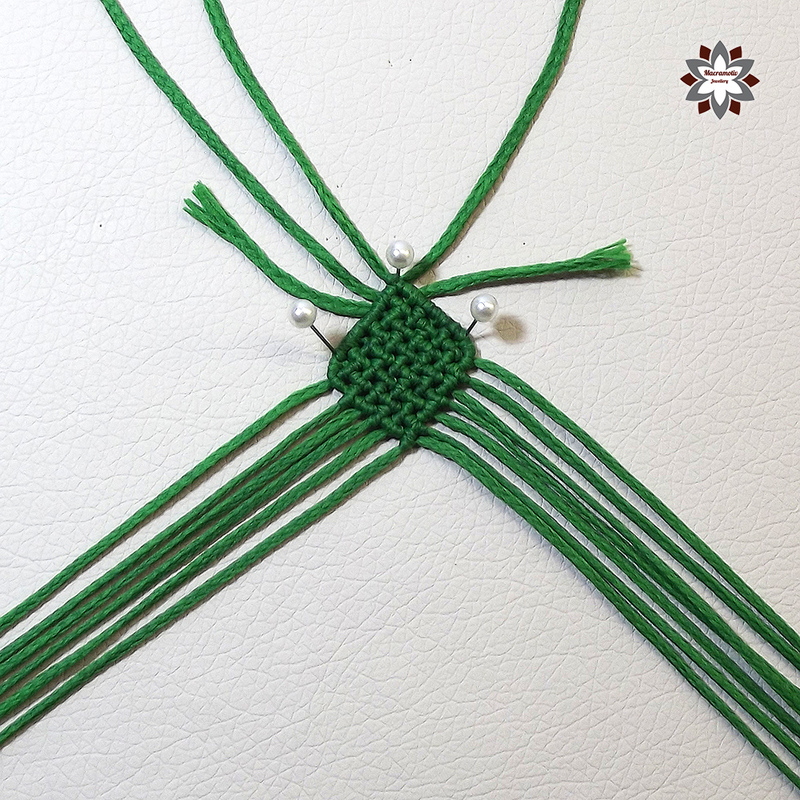 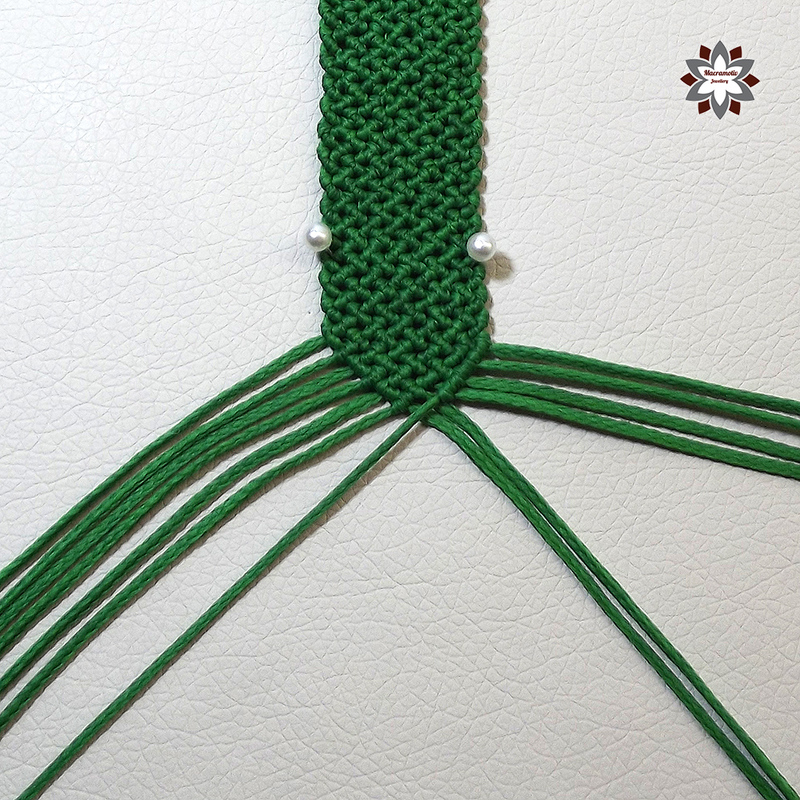 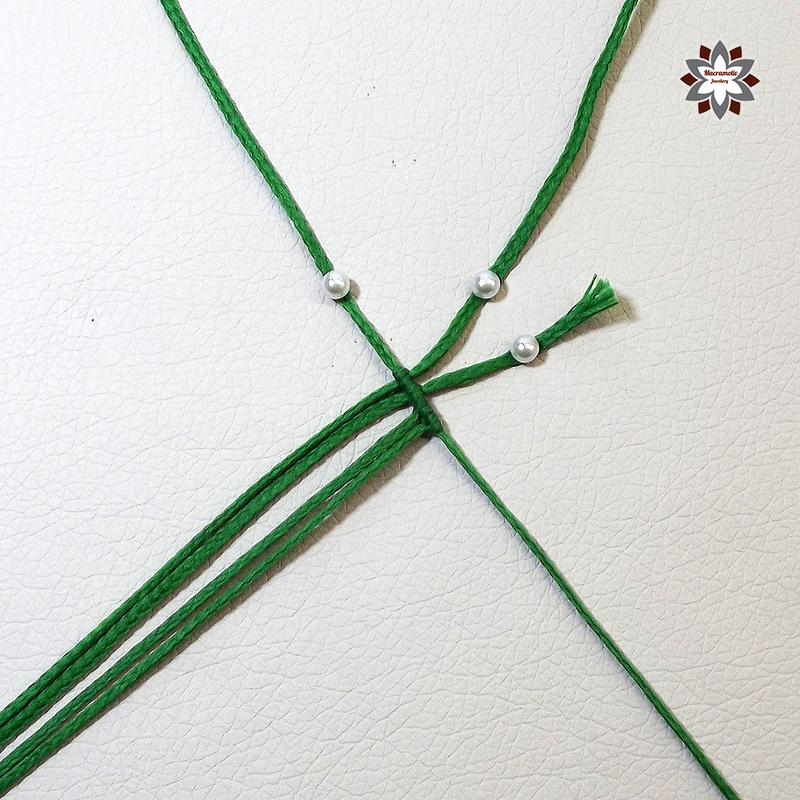 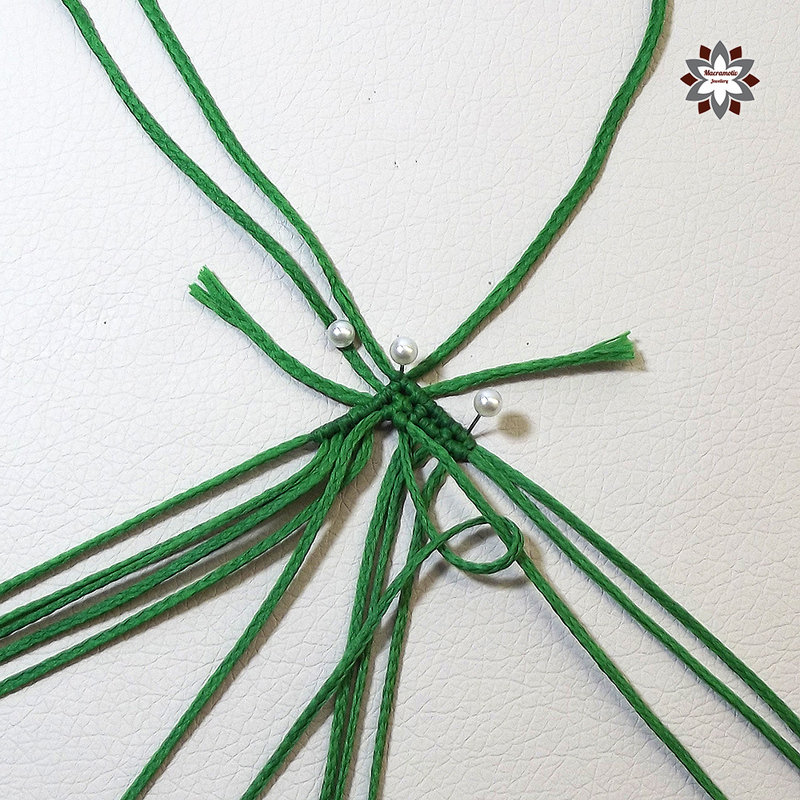 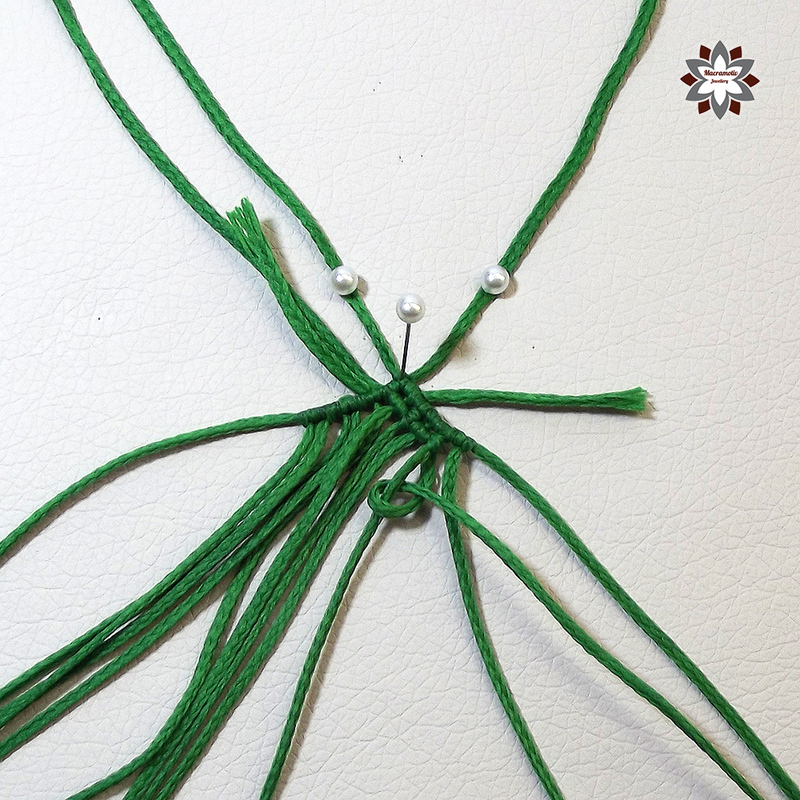 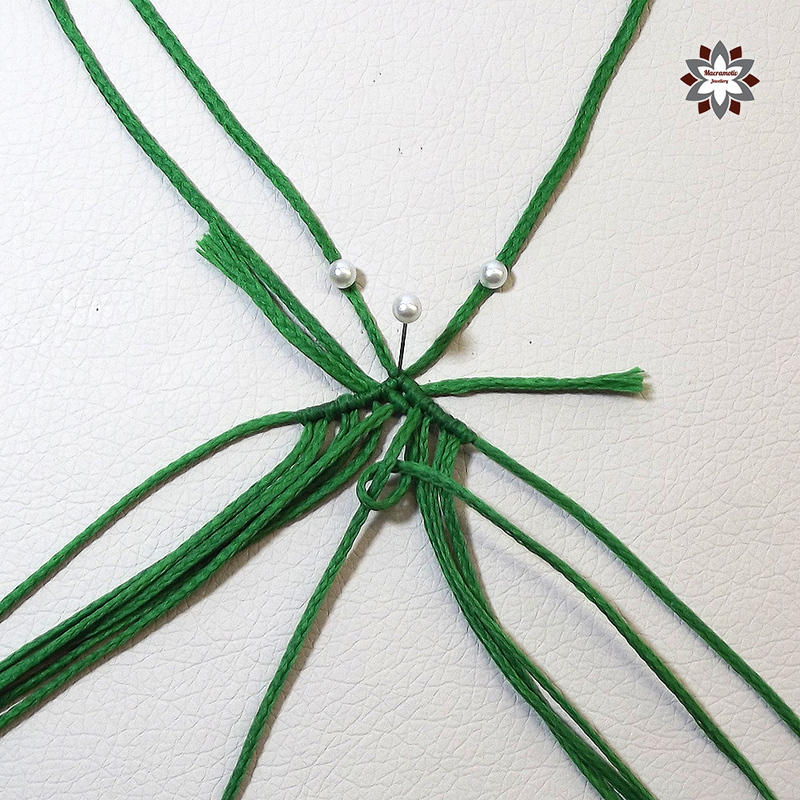 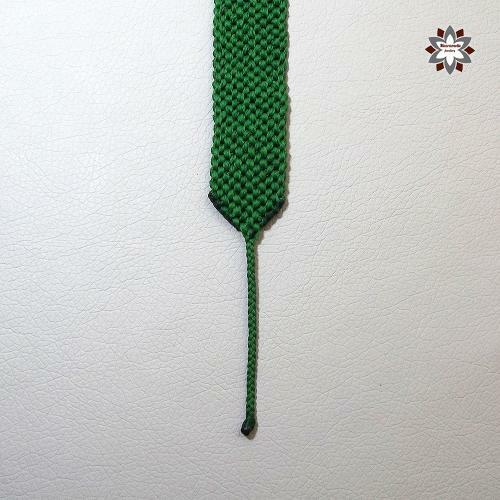 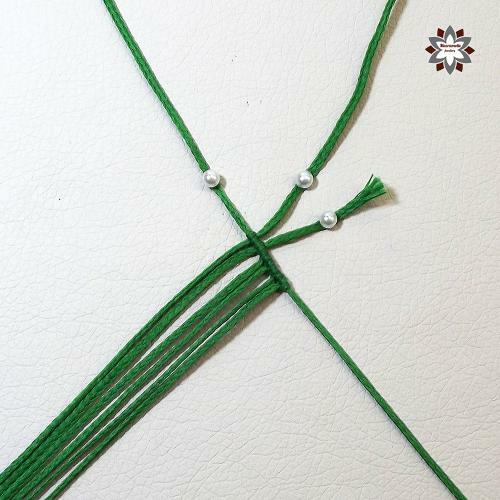 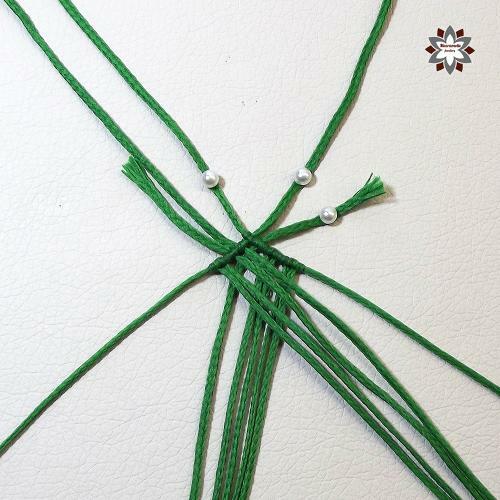 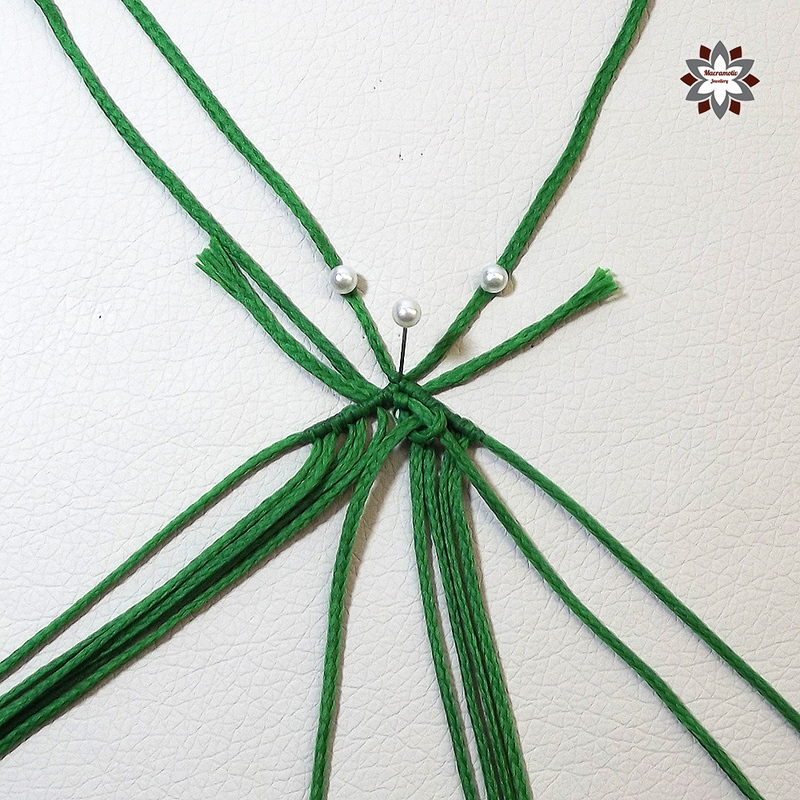 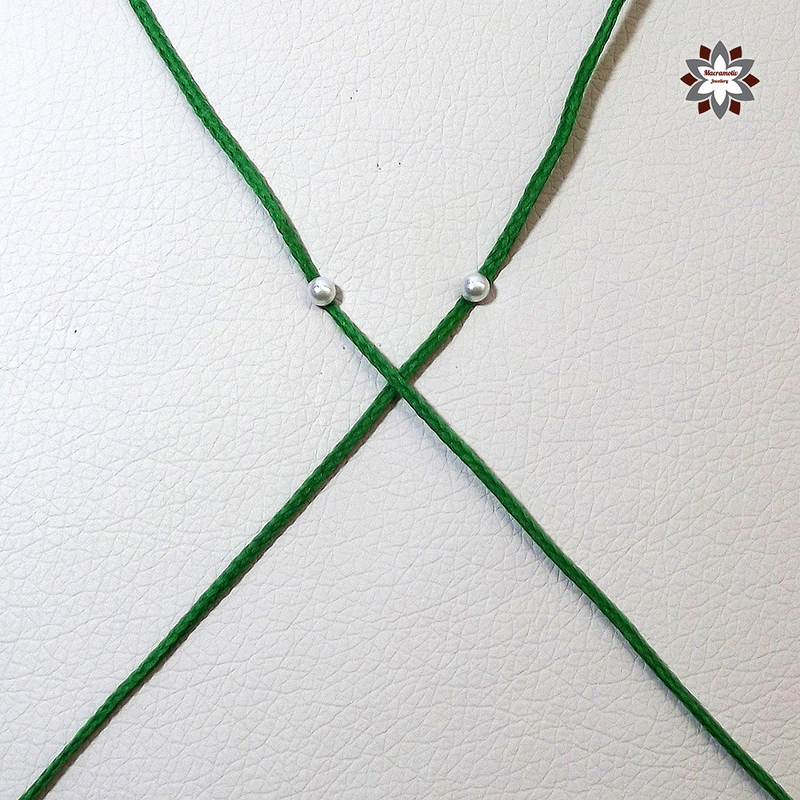 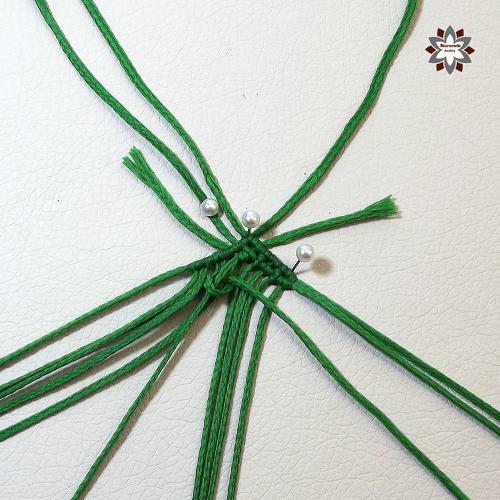 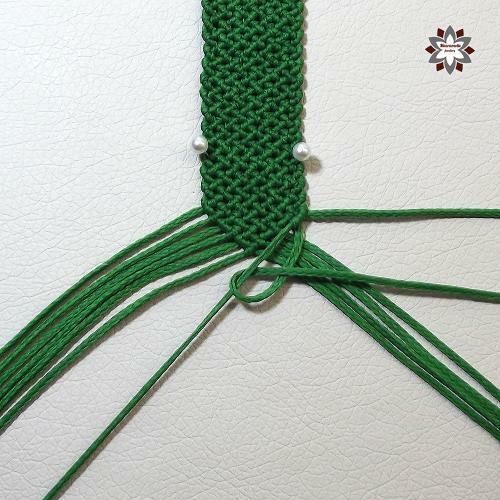 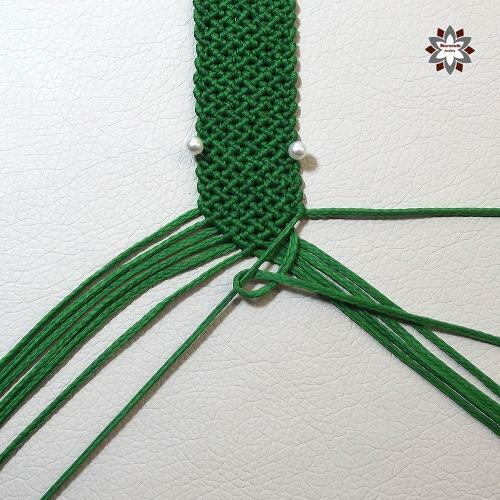 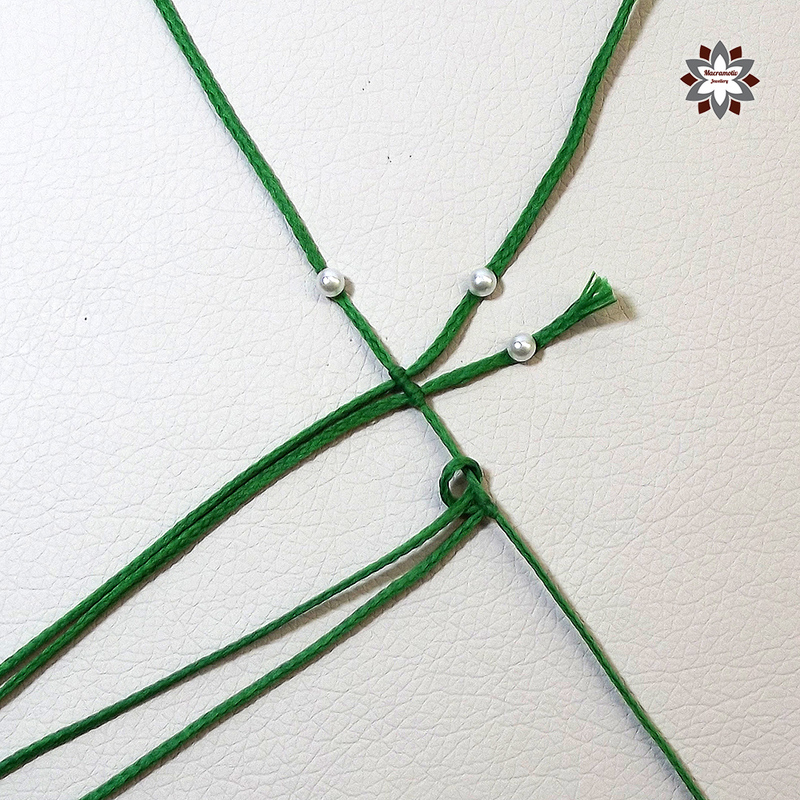 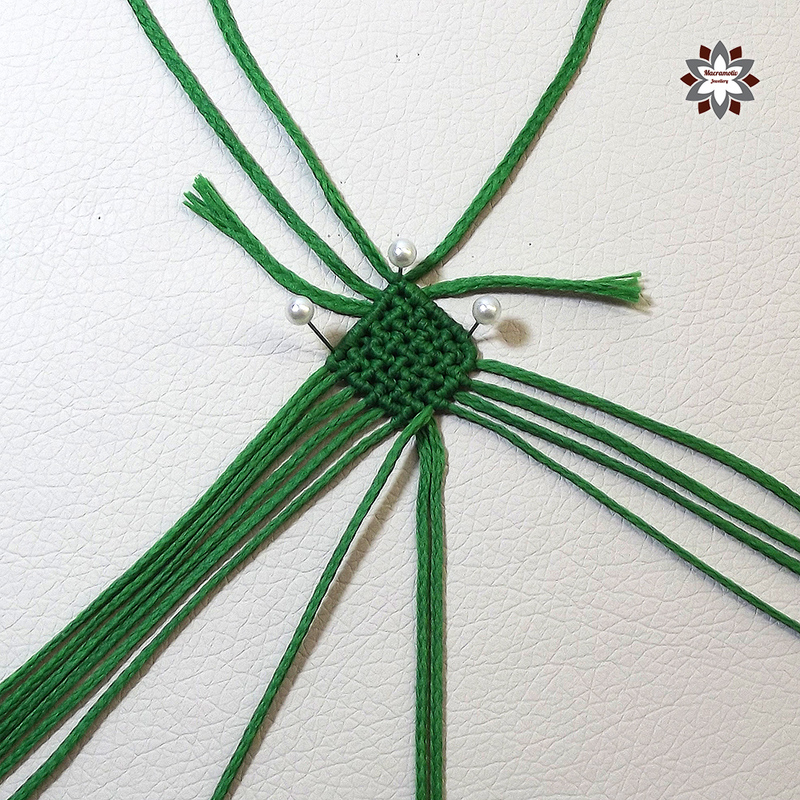 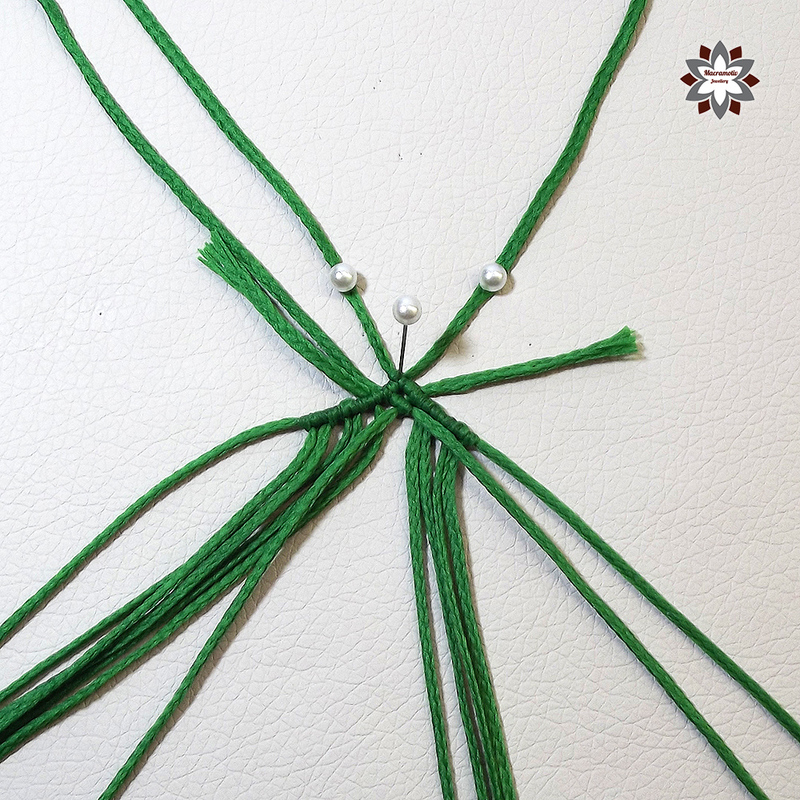 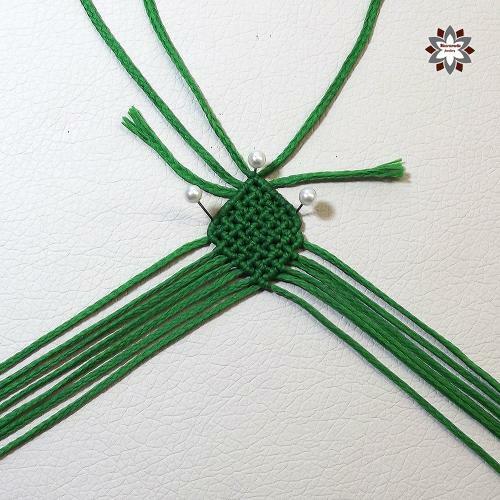 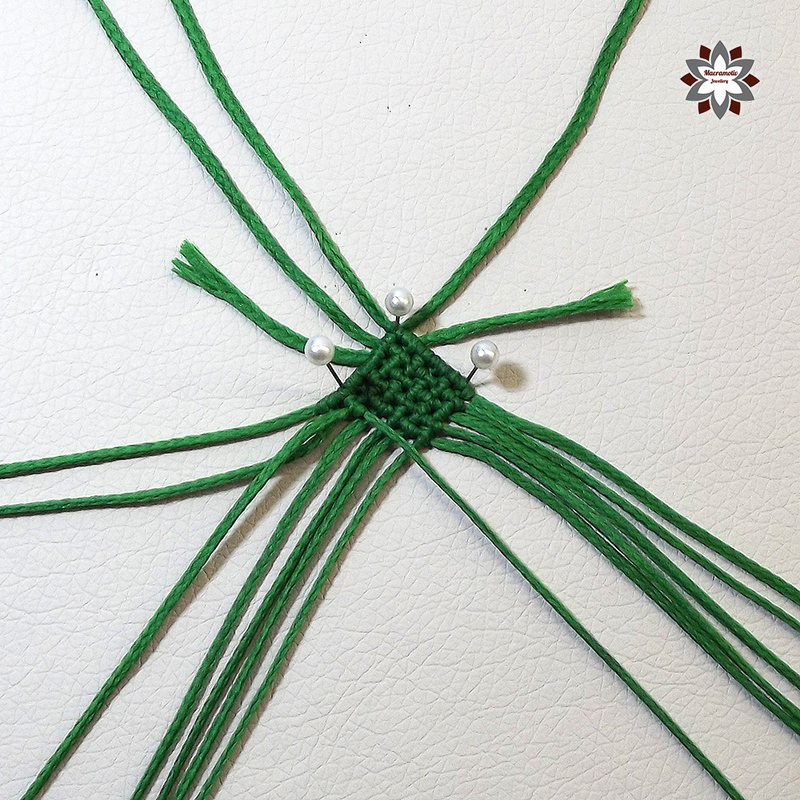 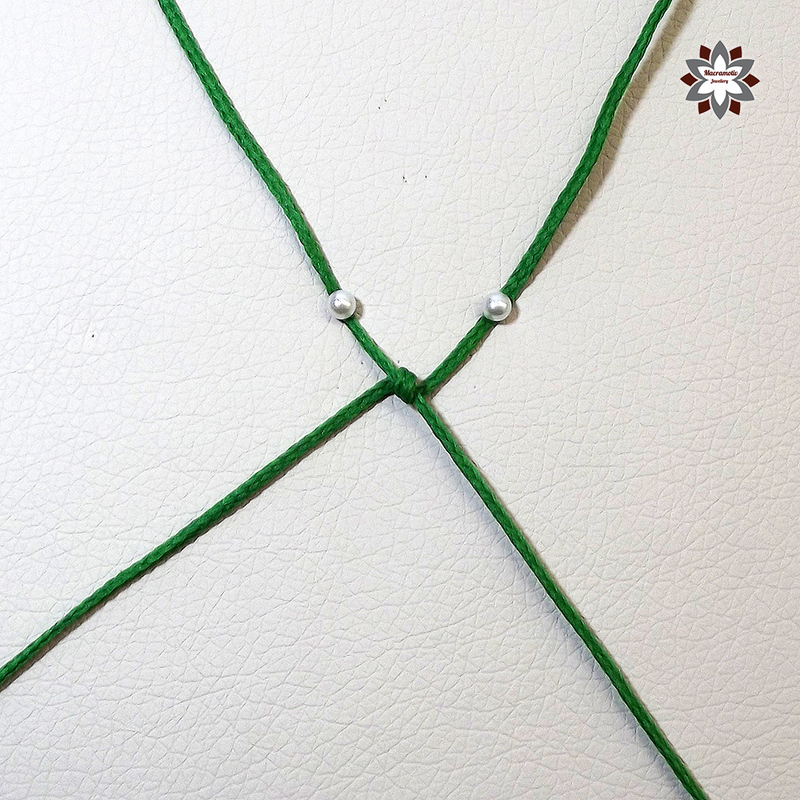 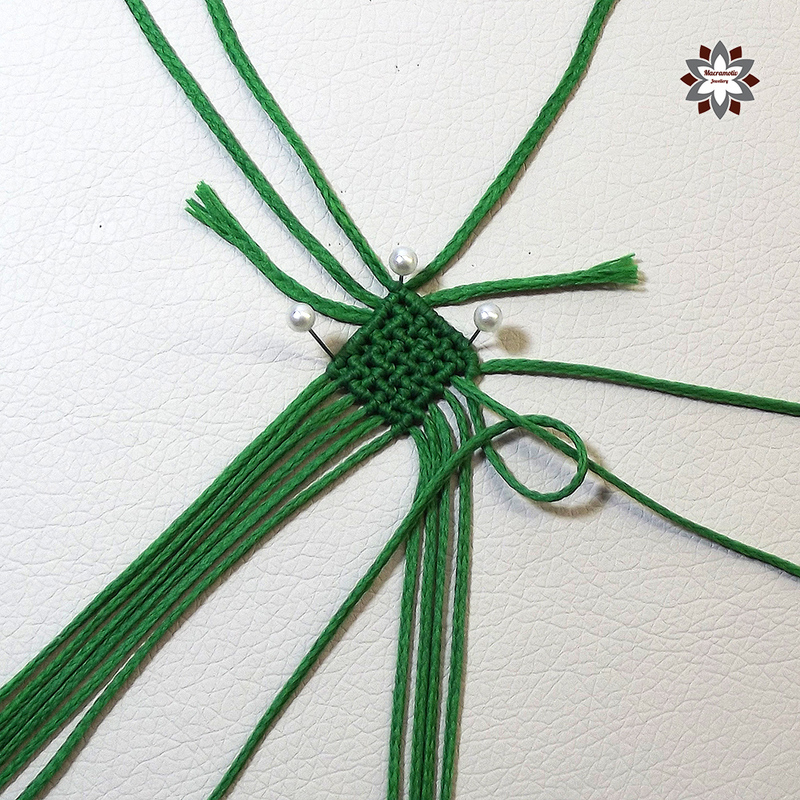 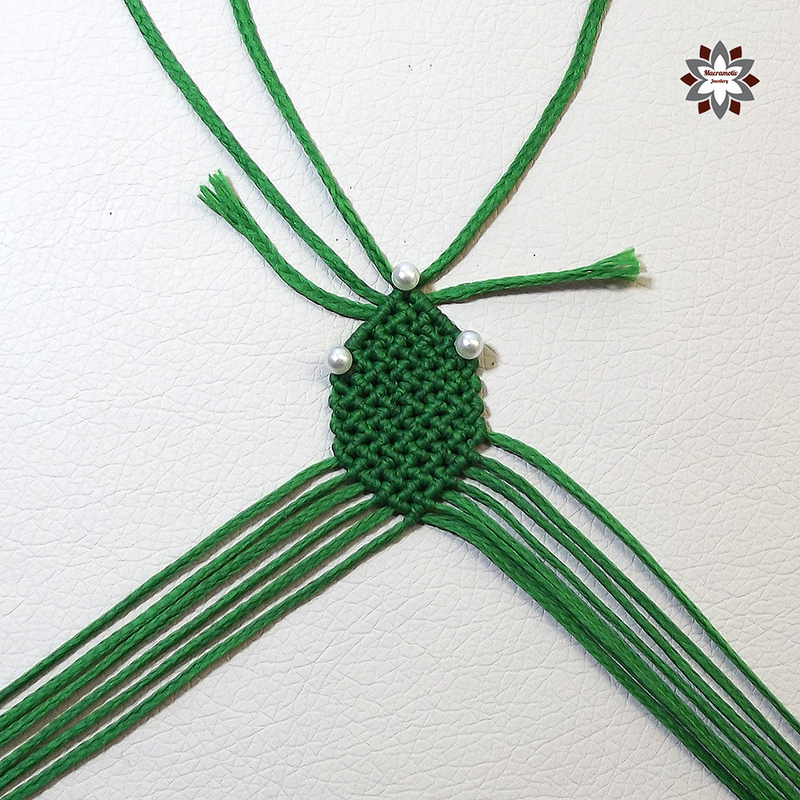 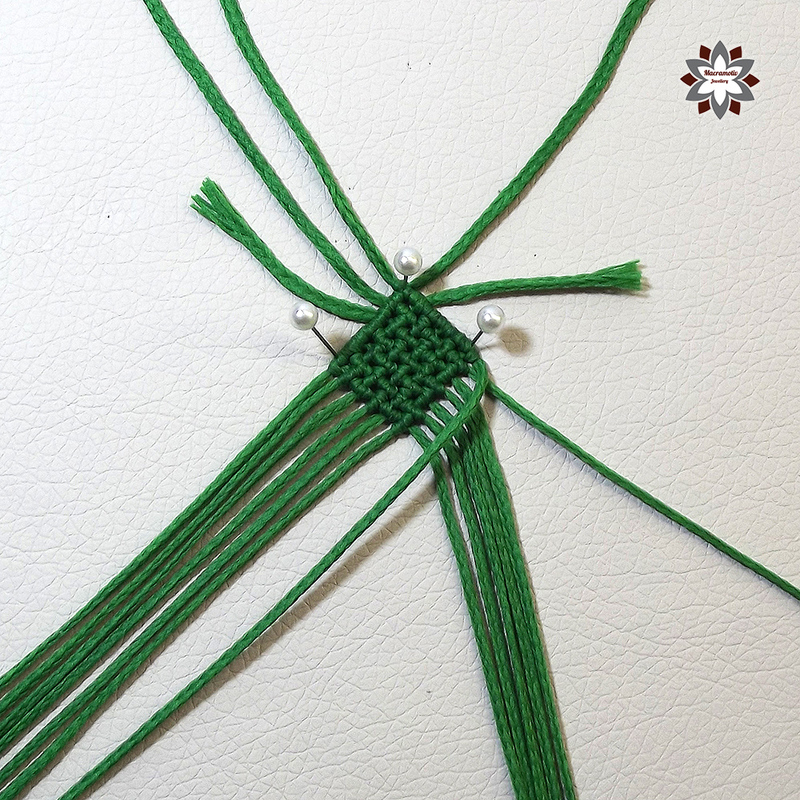 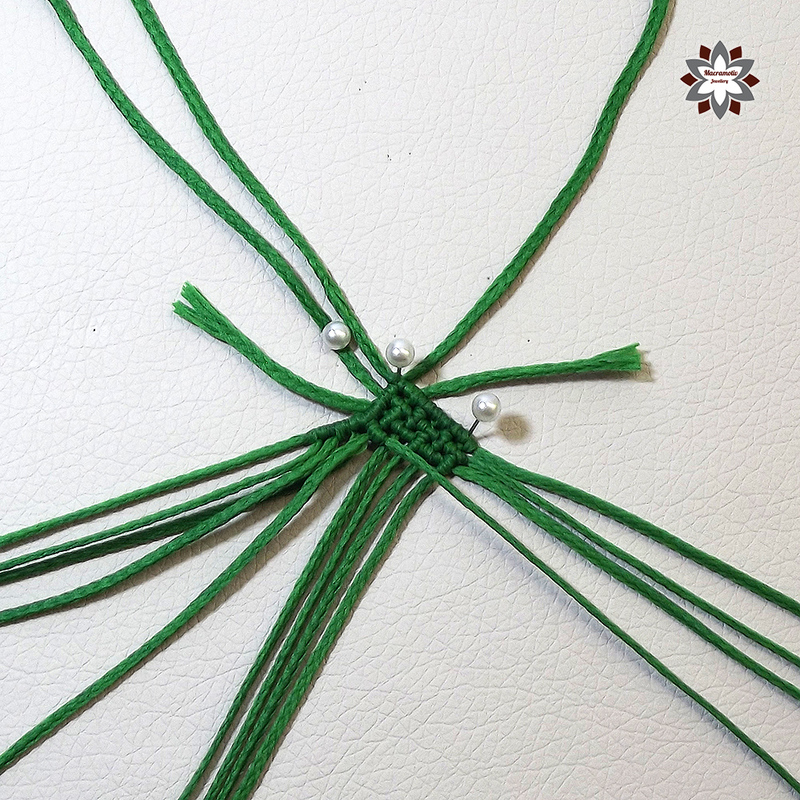 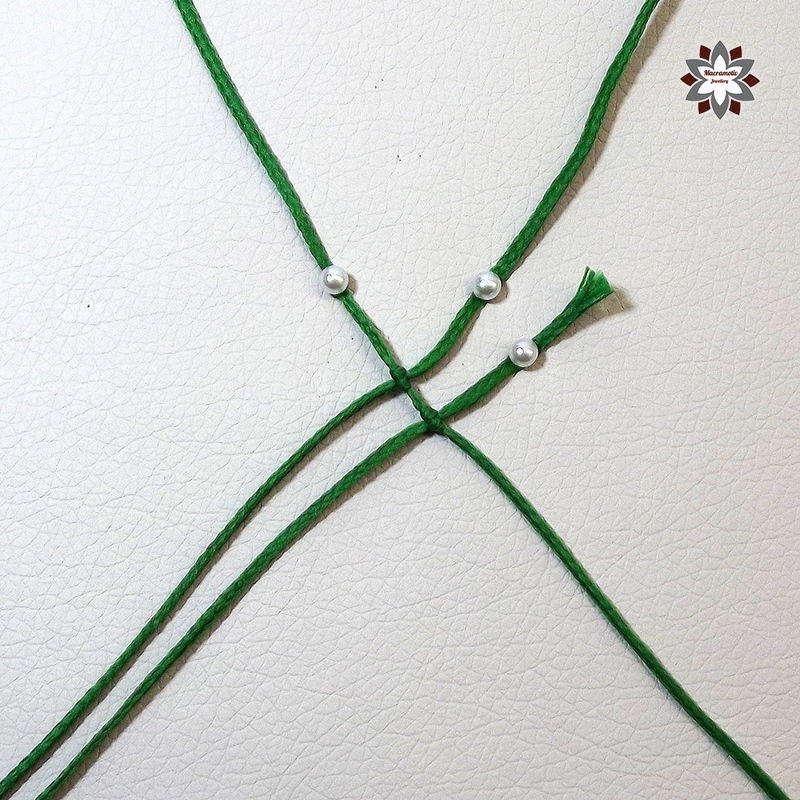 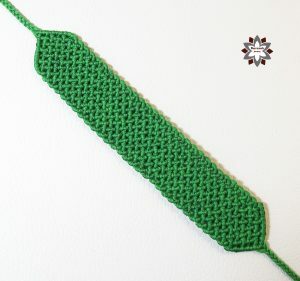 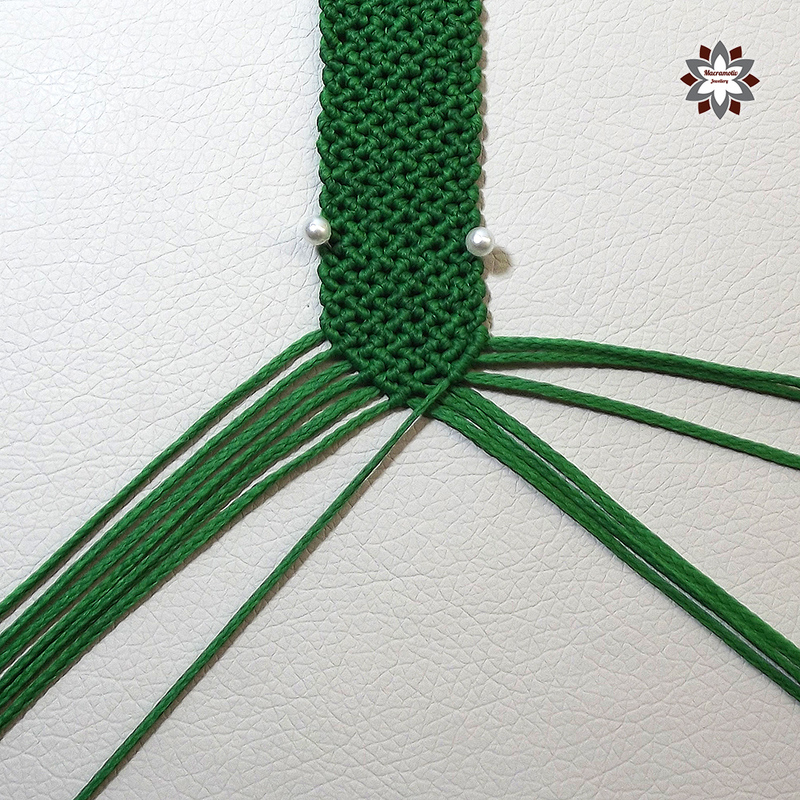 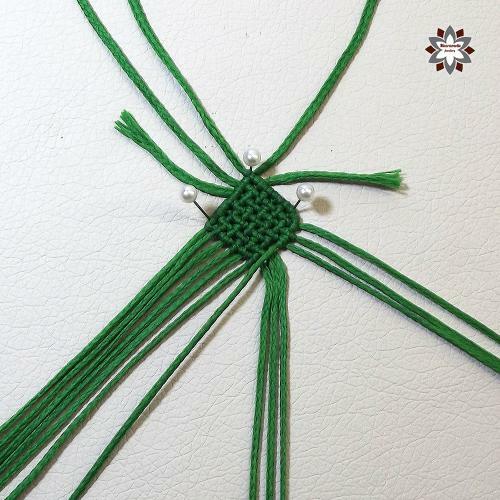 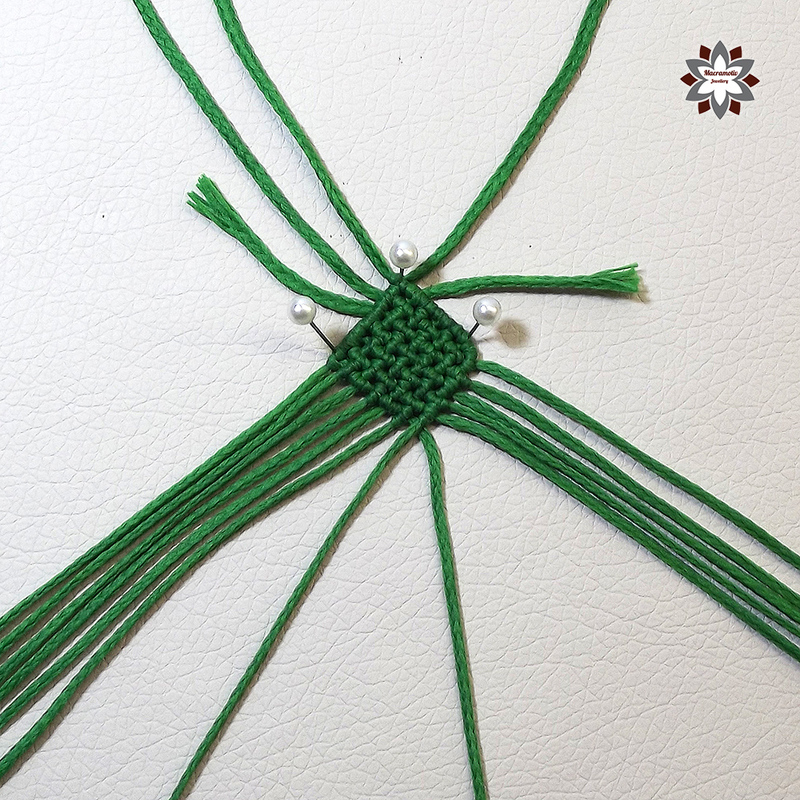 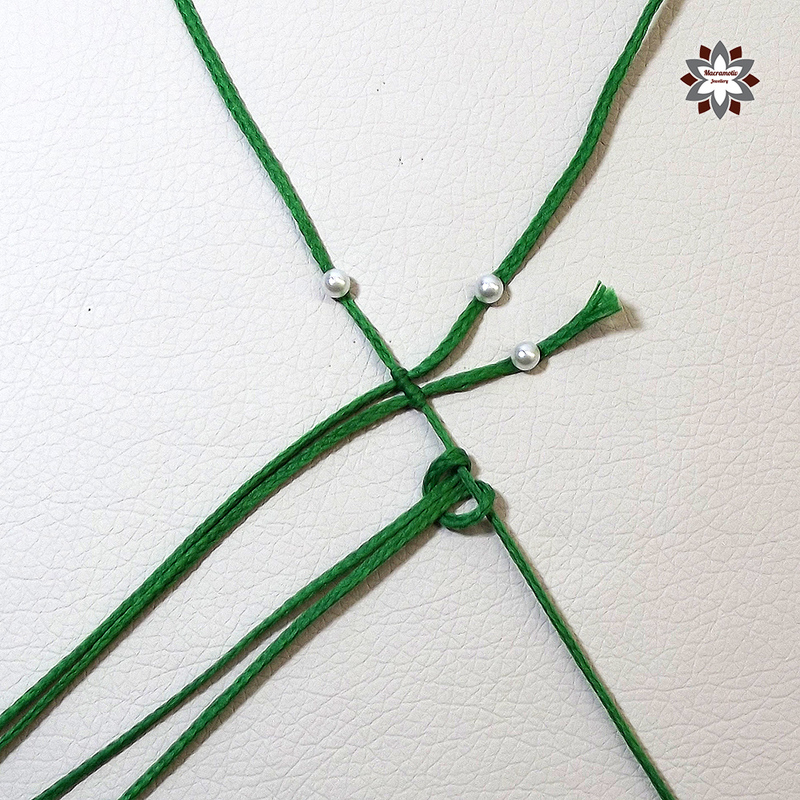 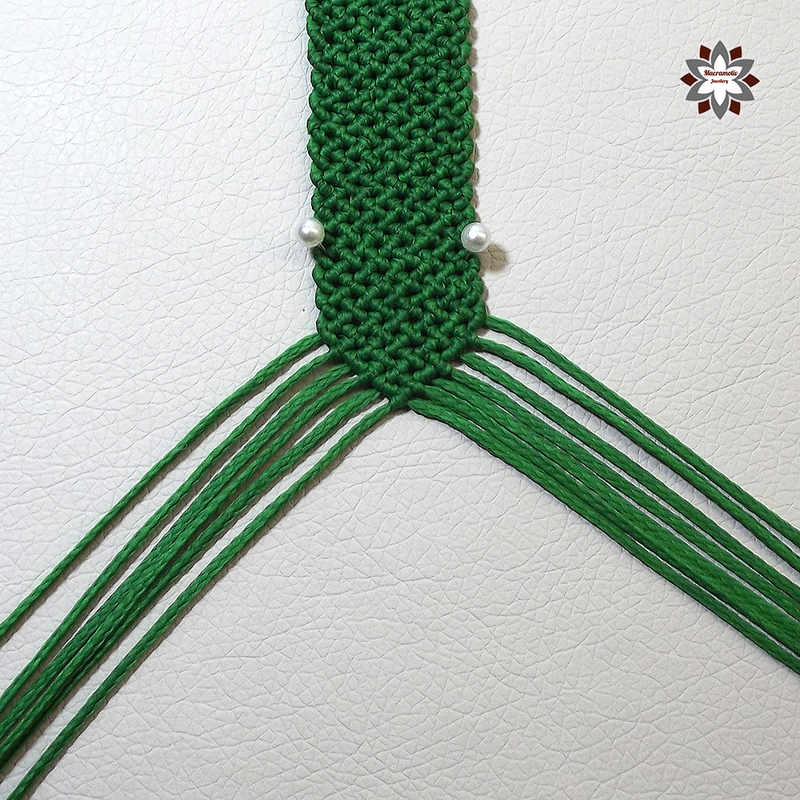 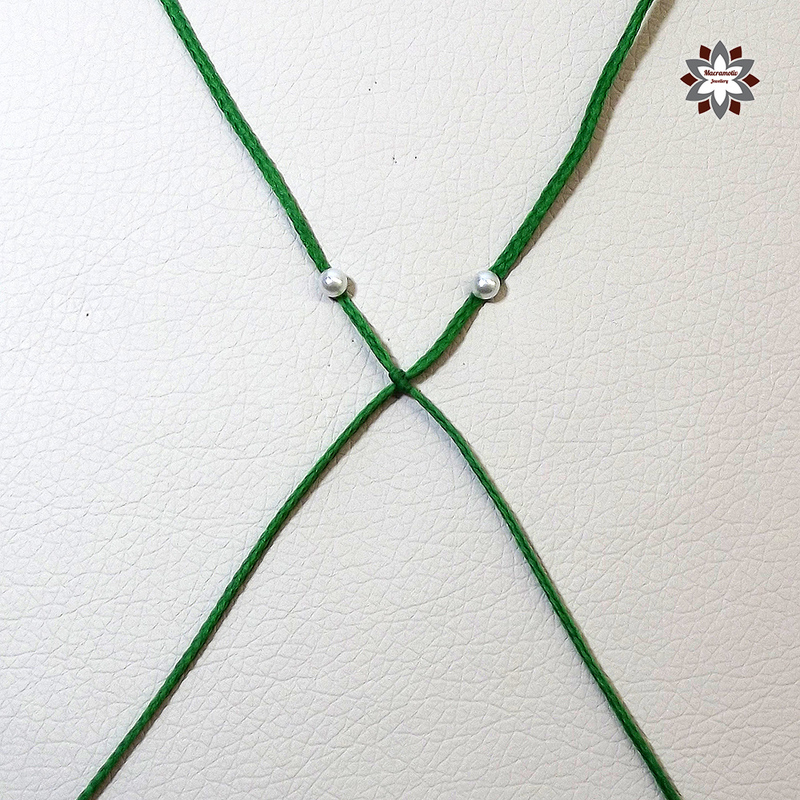 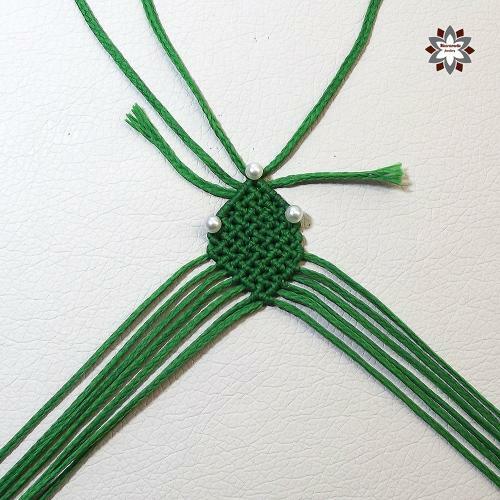 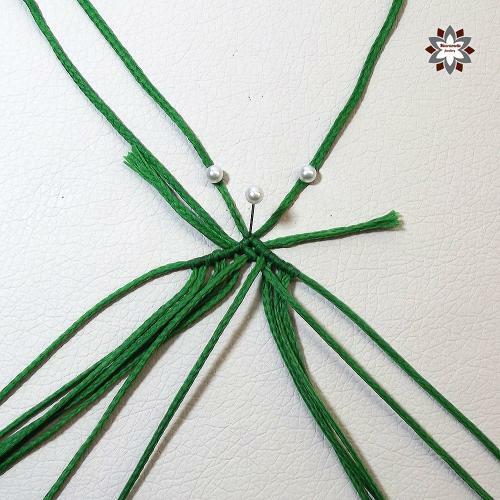 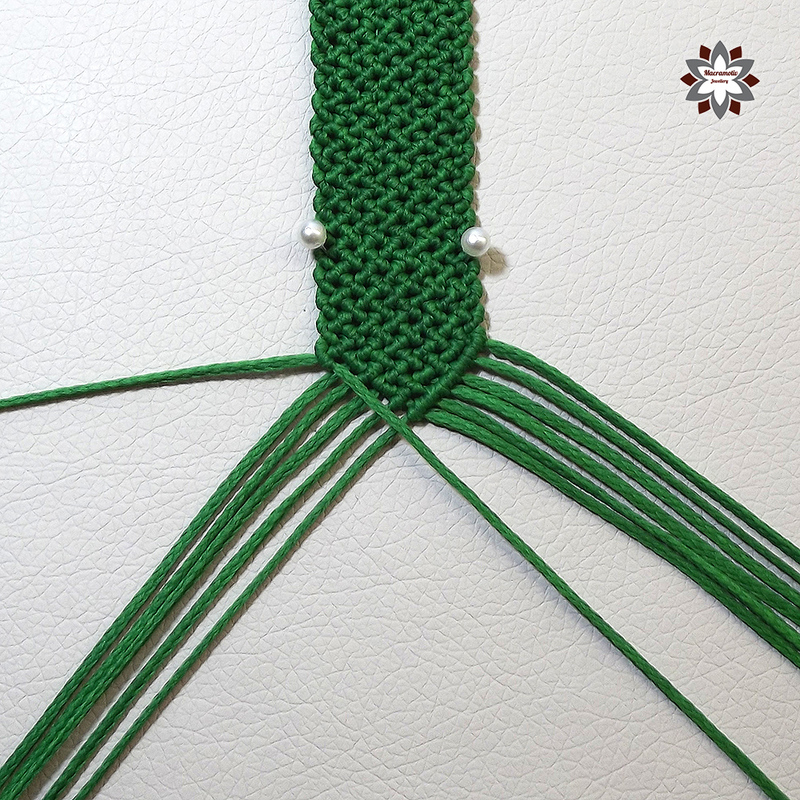 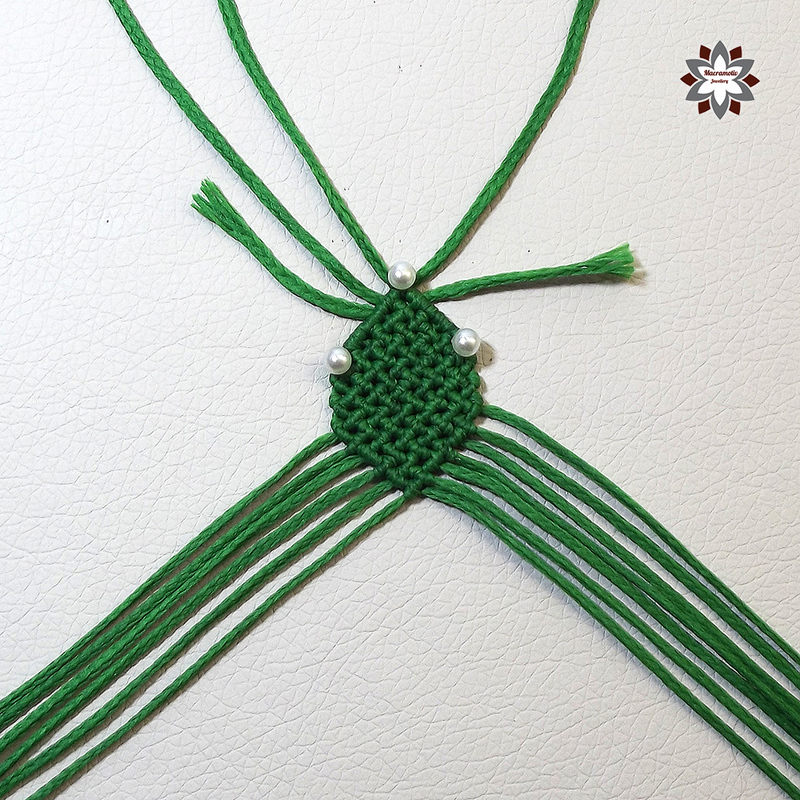 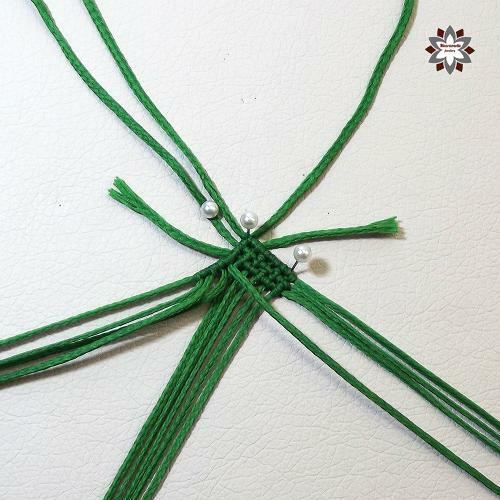 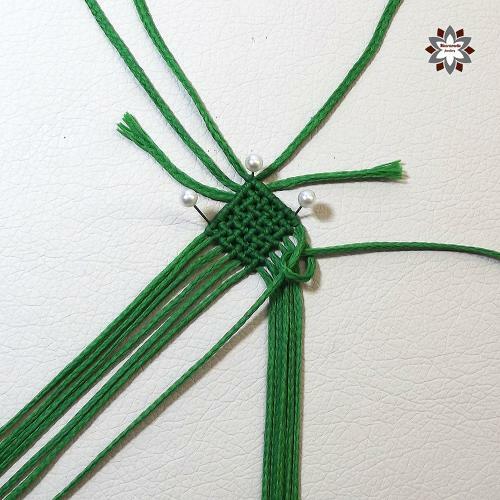 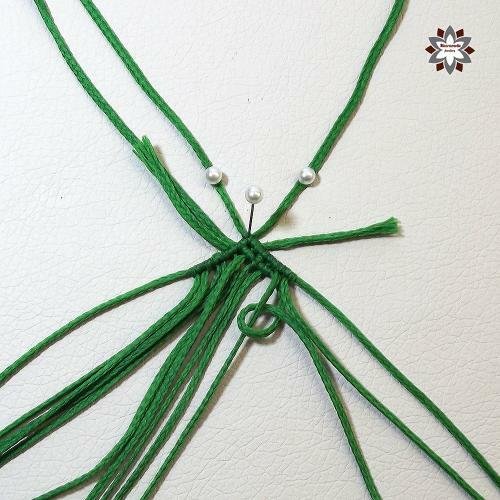 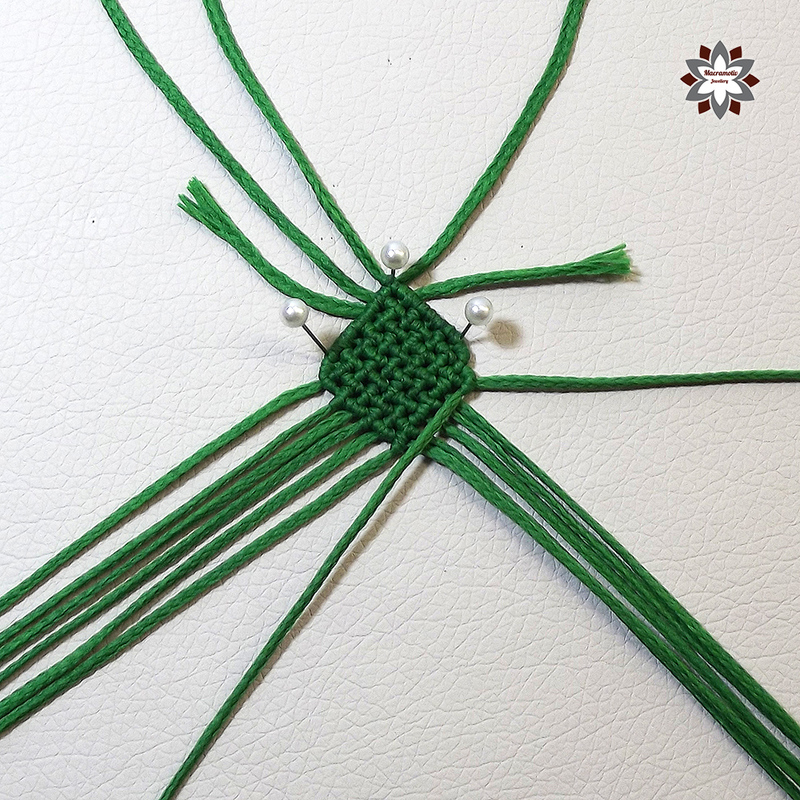 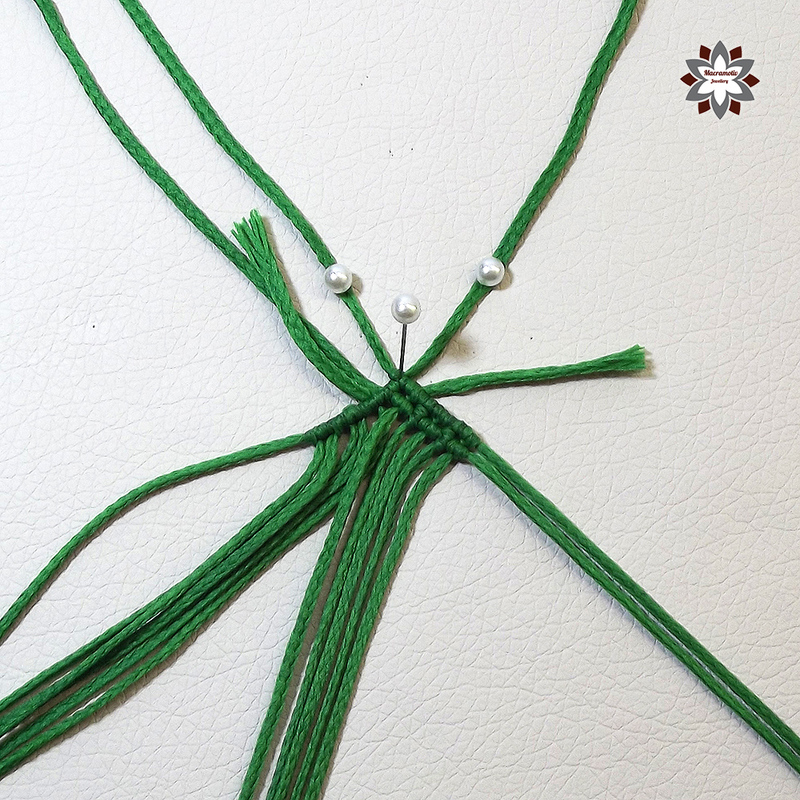 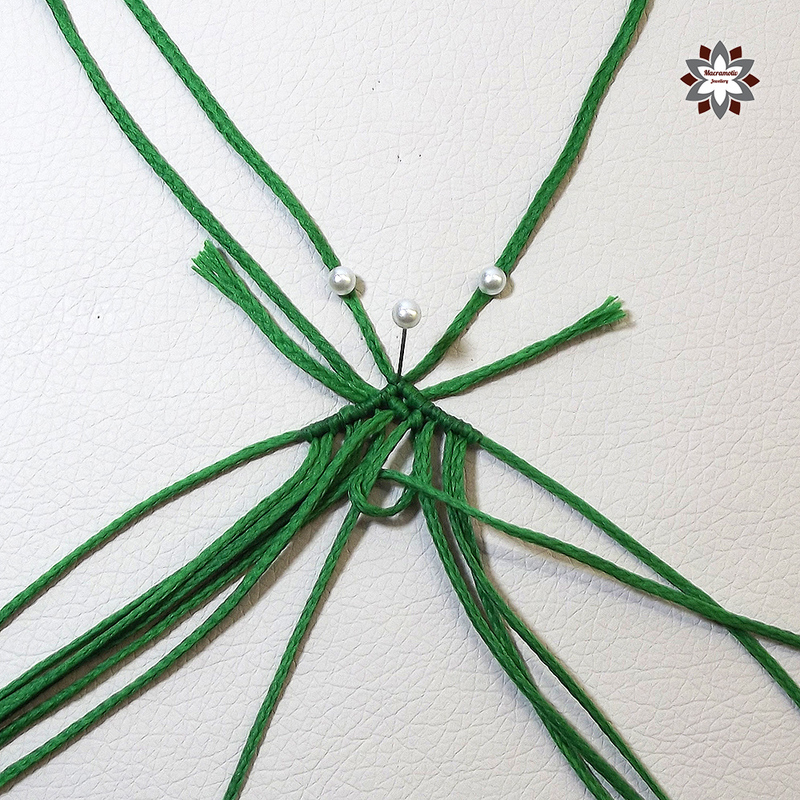 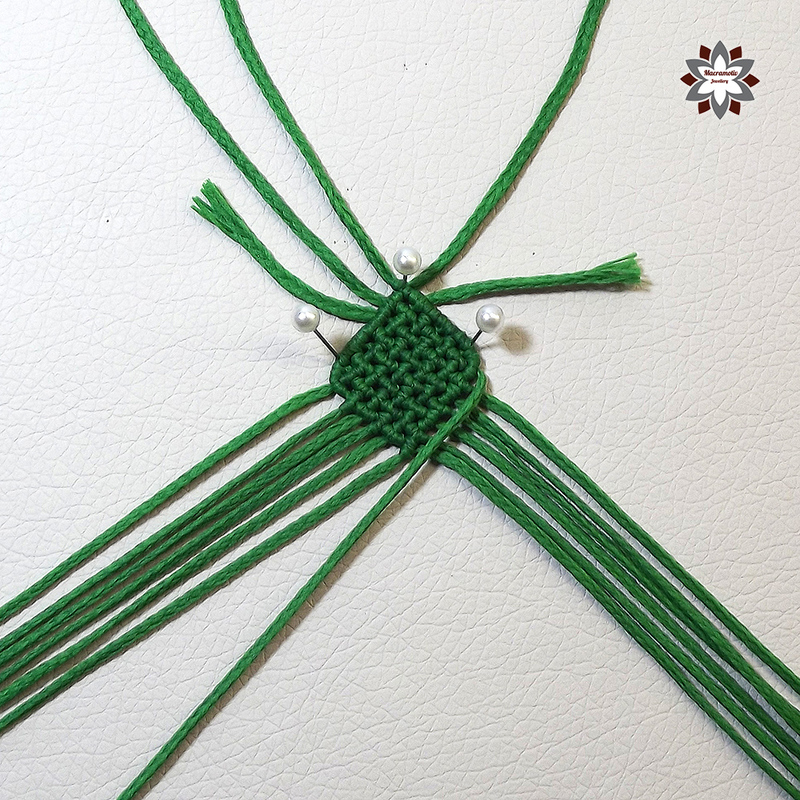 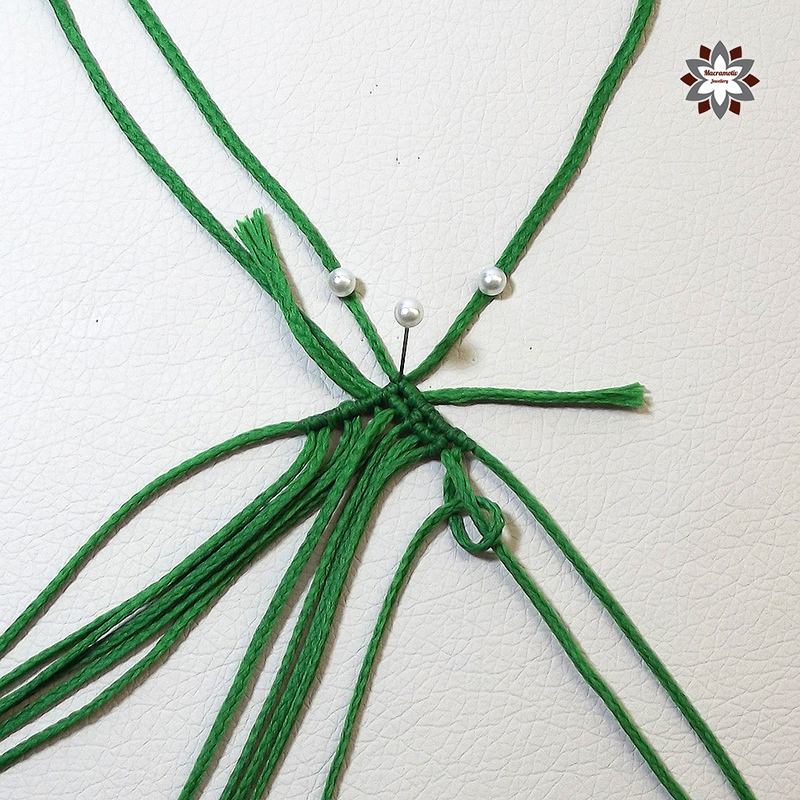 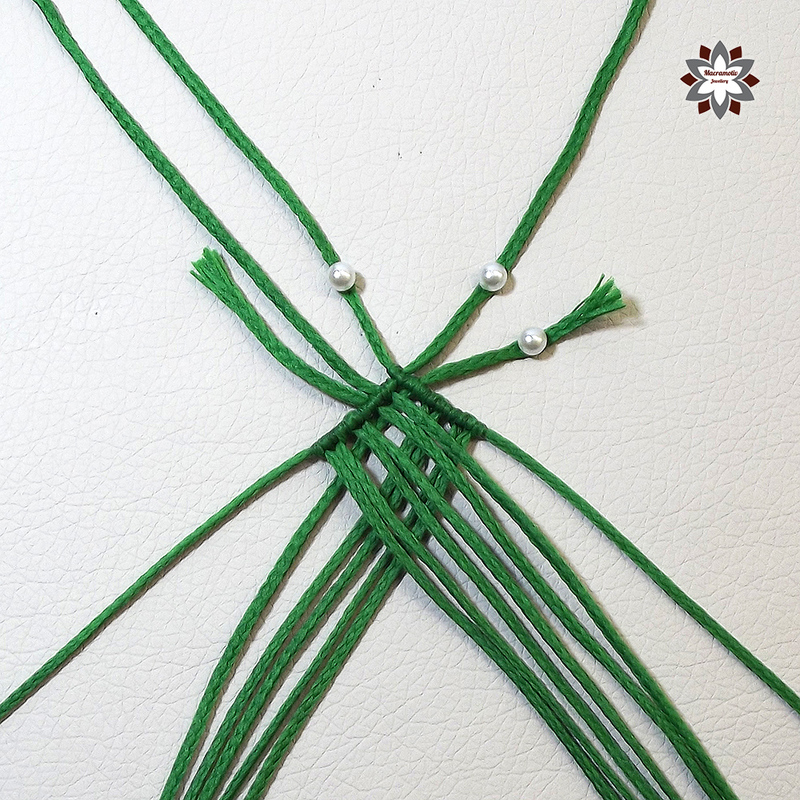 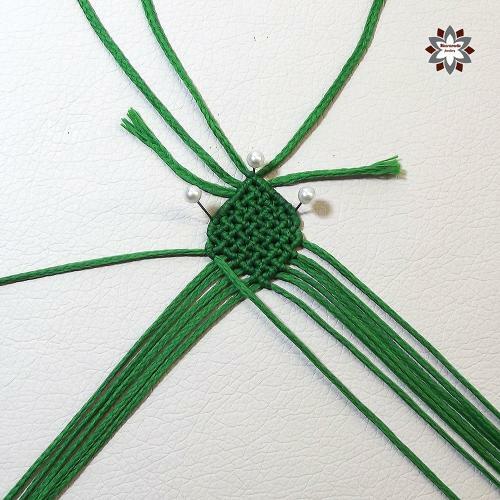 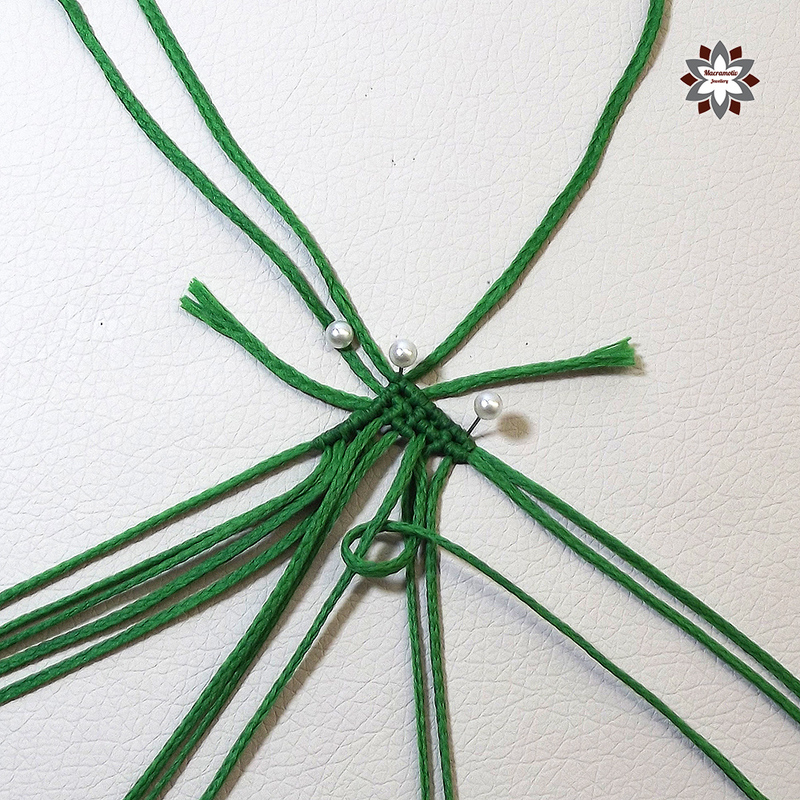 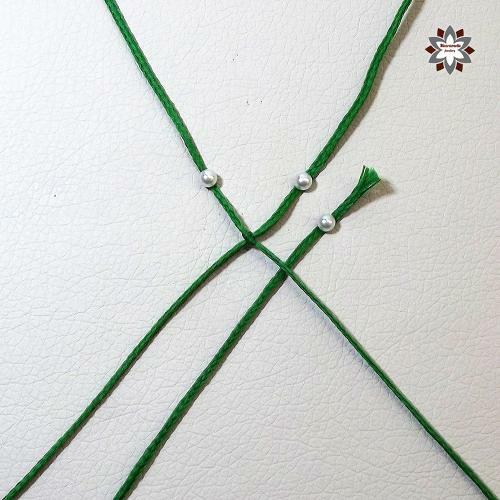 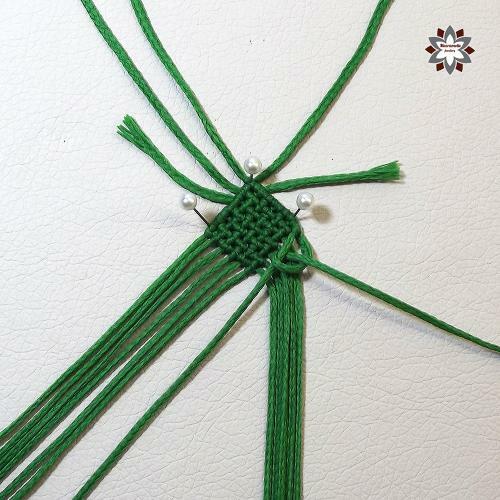 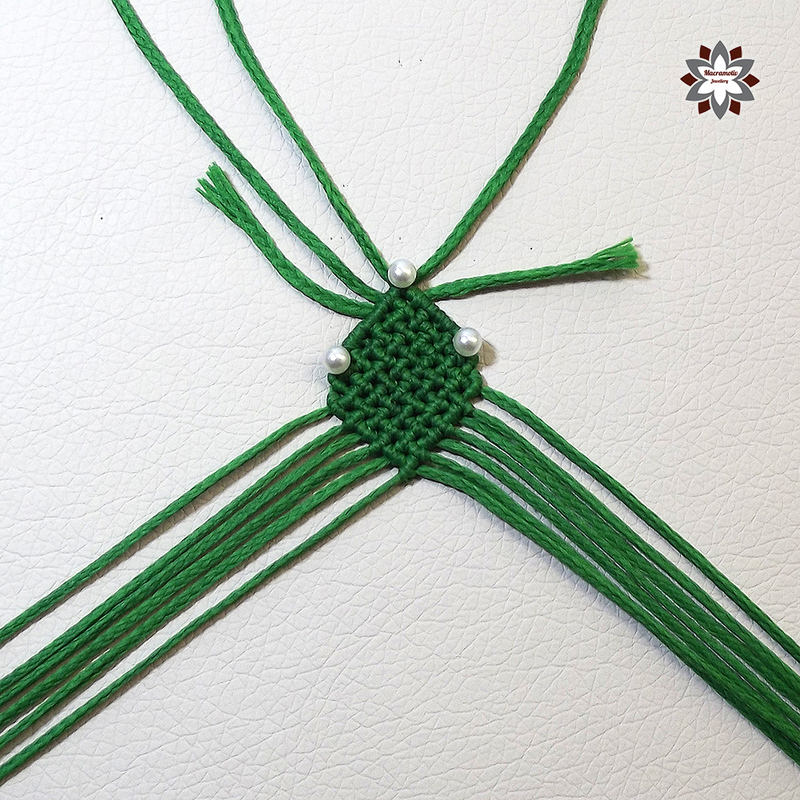 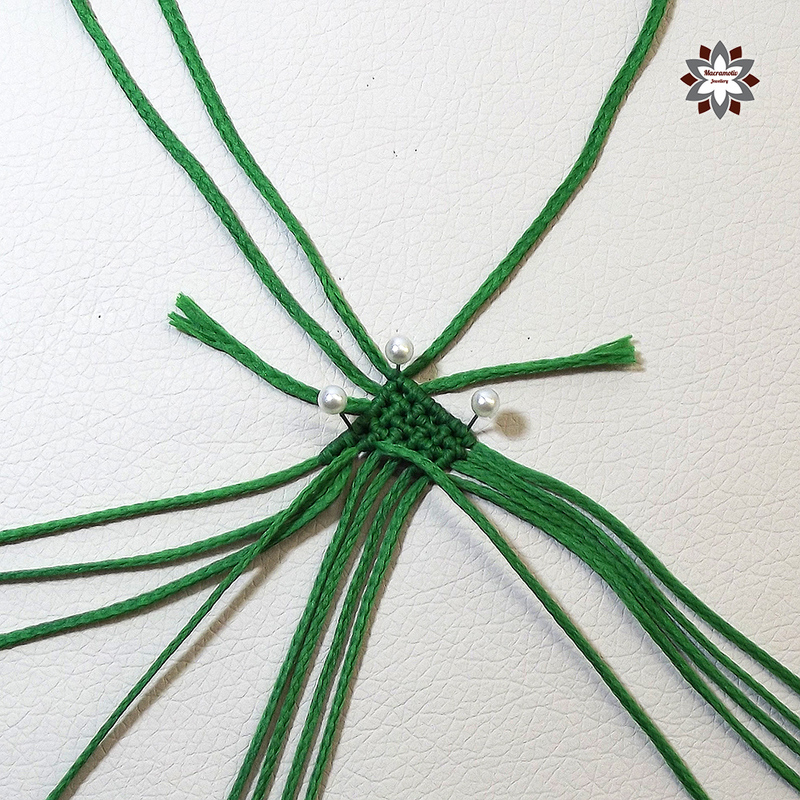 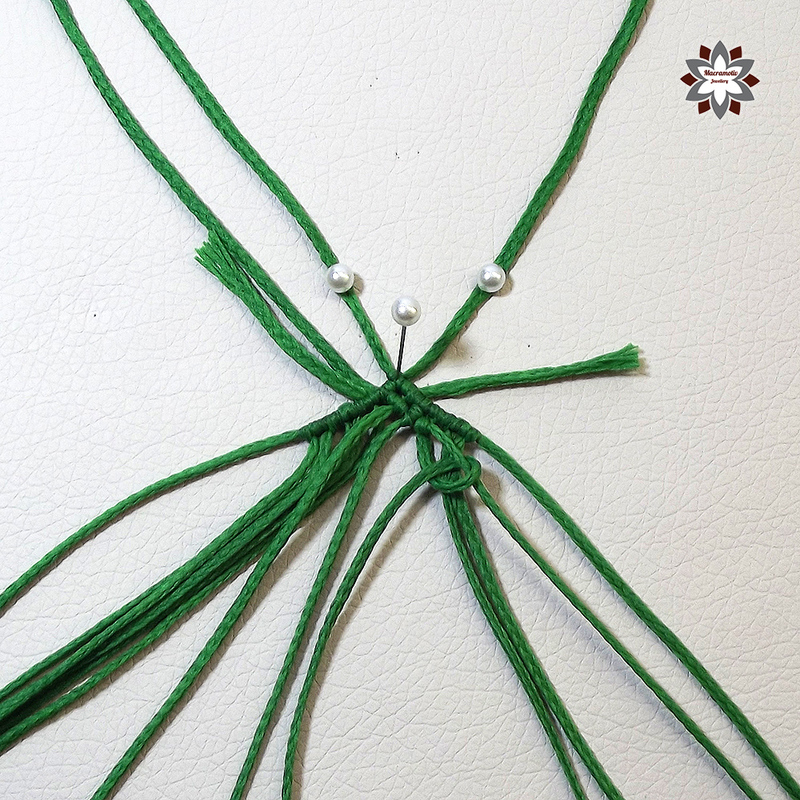 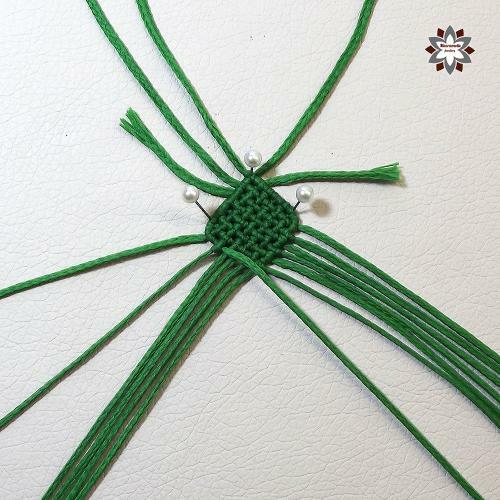 The following tutorial can help practicing changing the directions of the knots: Step bracelet. 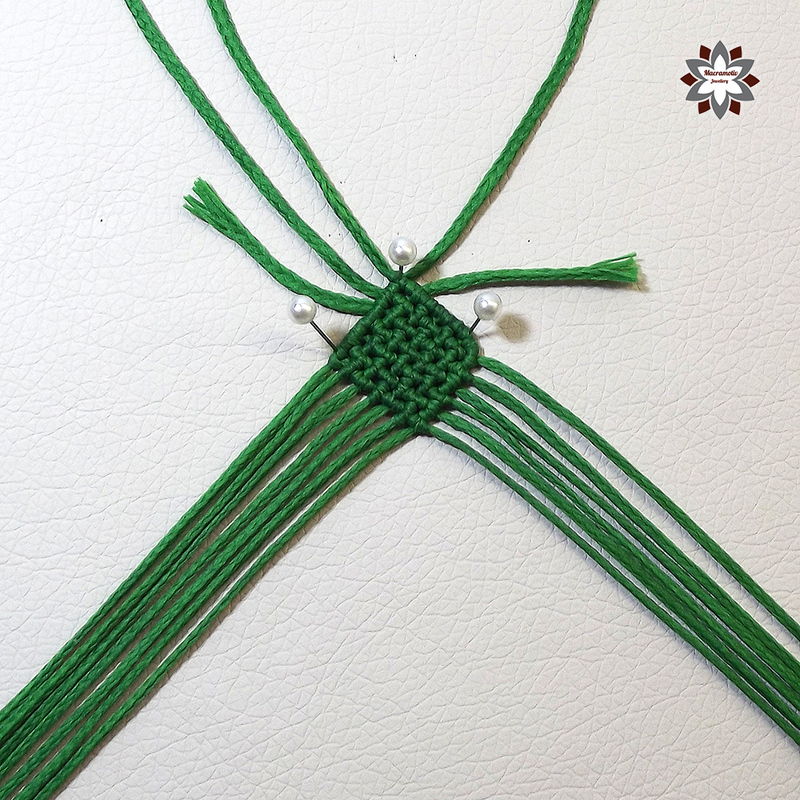 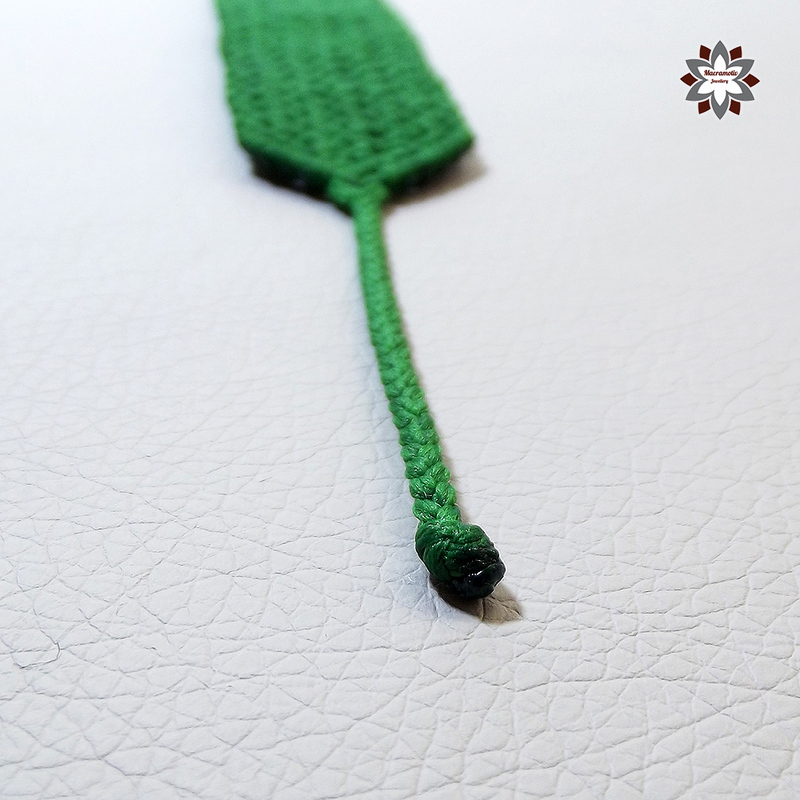 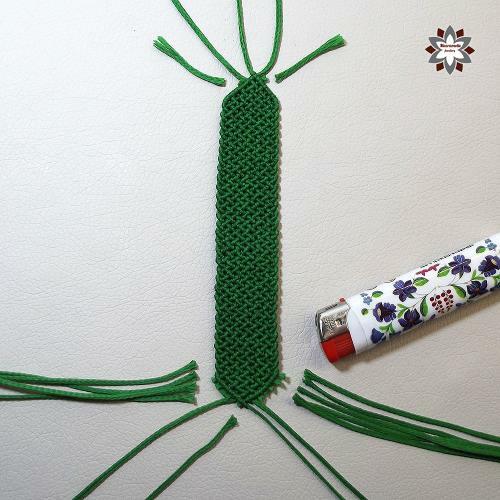 I used turkish braided waxed polyester cord in this project, if you have any questions about the cords I use or the macrame board I work on, please visit FAQ first. 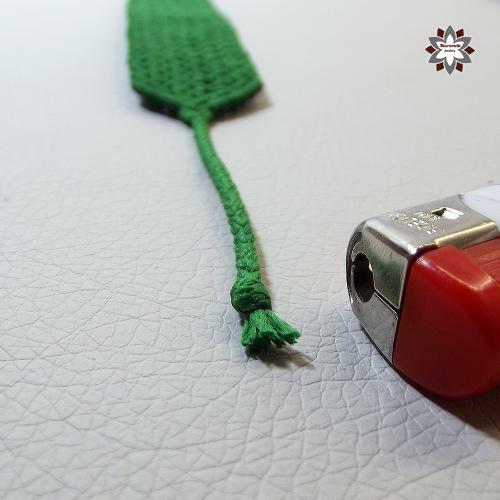 4 x 200cm waxed polyester cord (1mm).